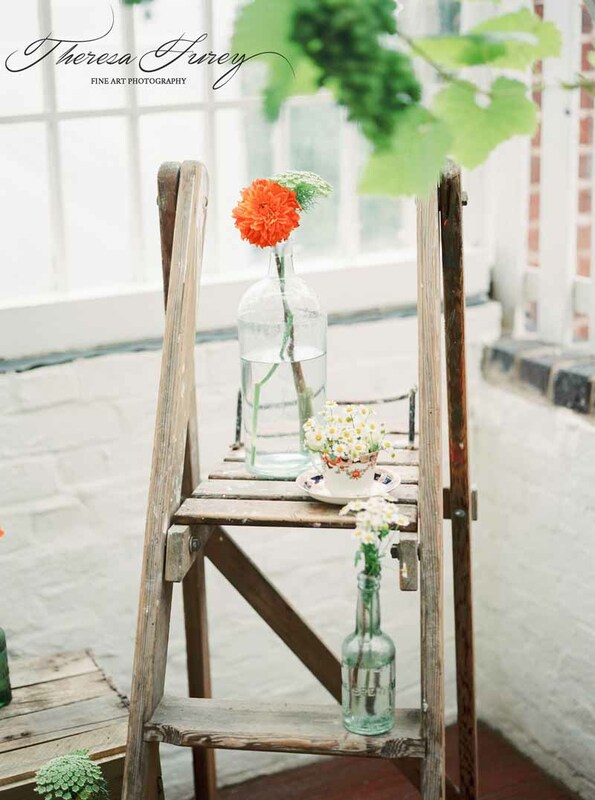 Another re-post from our blog archives. 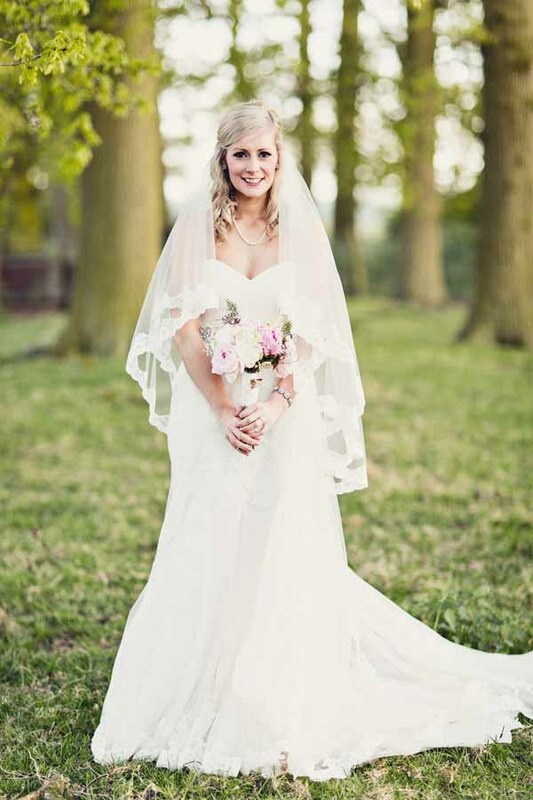 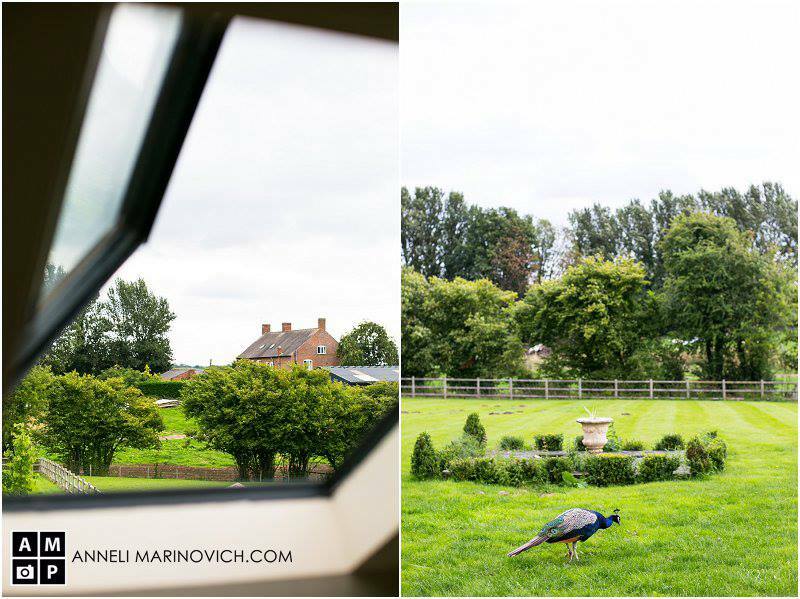 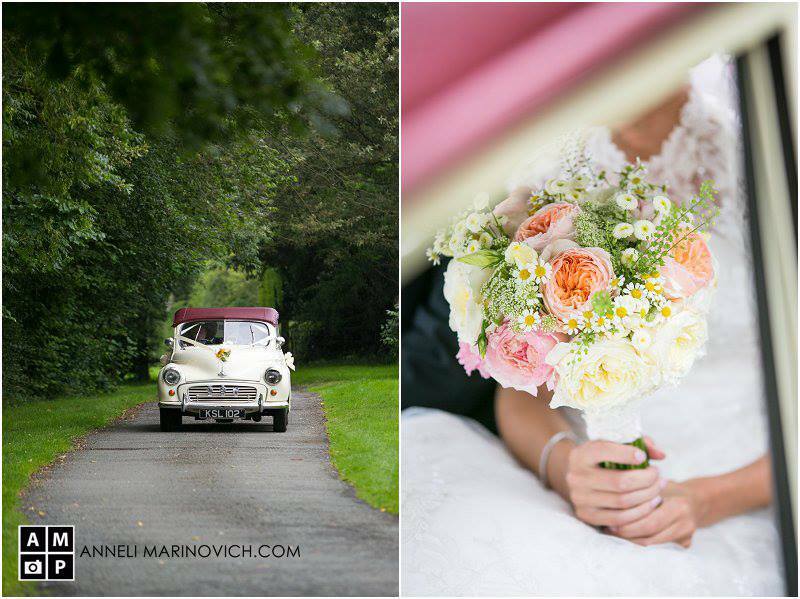 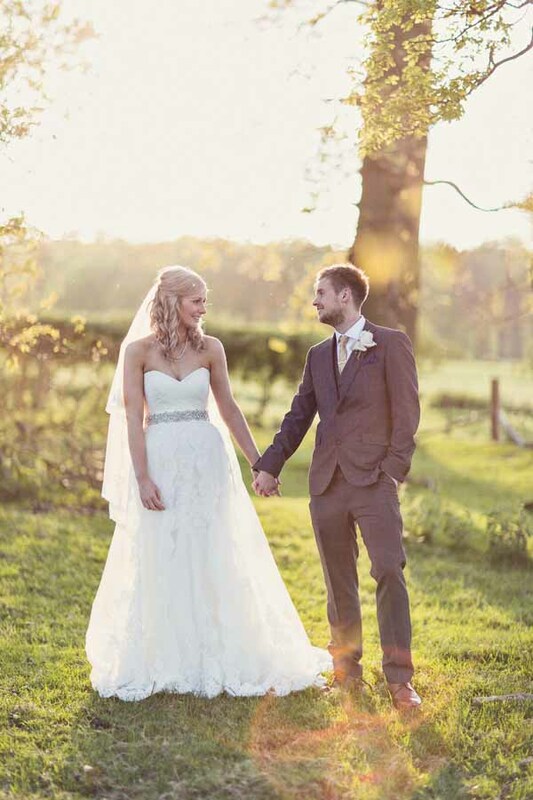 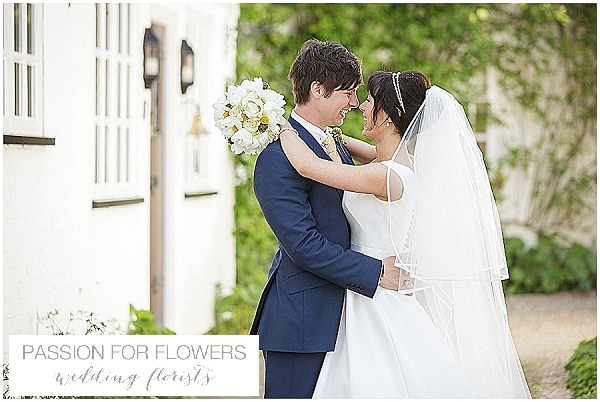 This wedding was a beautiful summer wedding at Iscoyd Park. 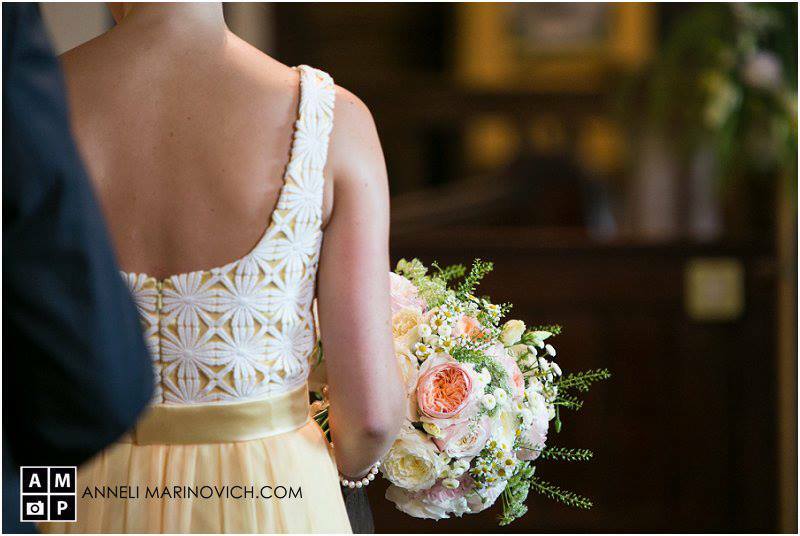 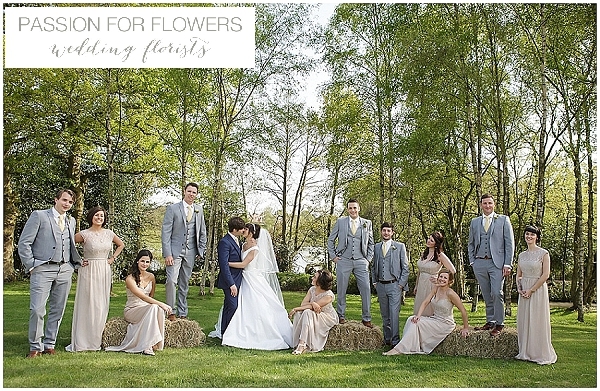 We had an abundance of peach wedding flowers, with additional touches of vibrant green and yellow daisies. 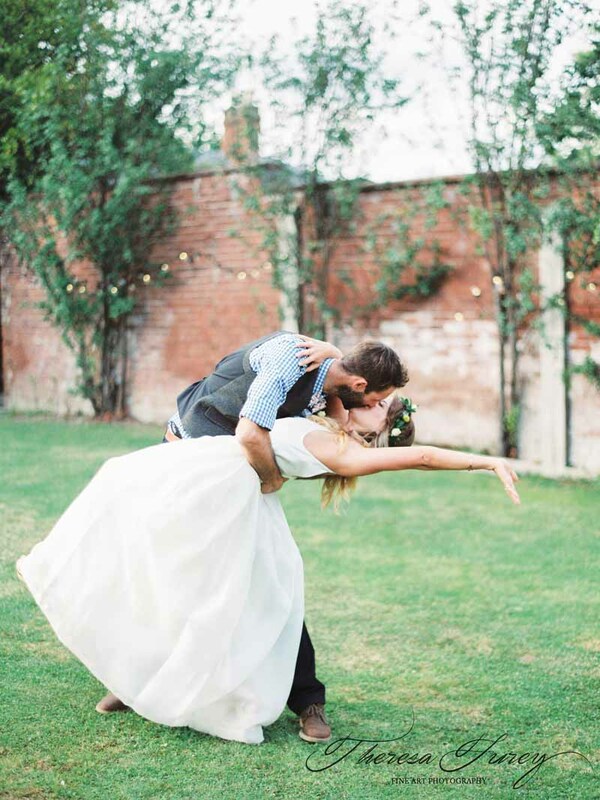 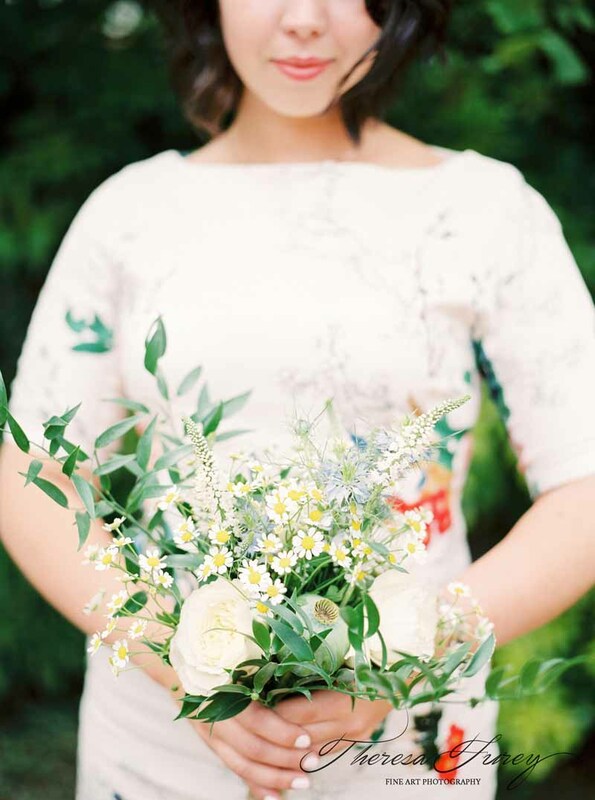 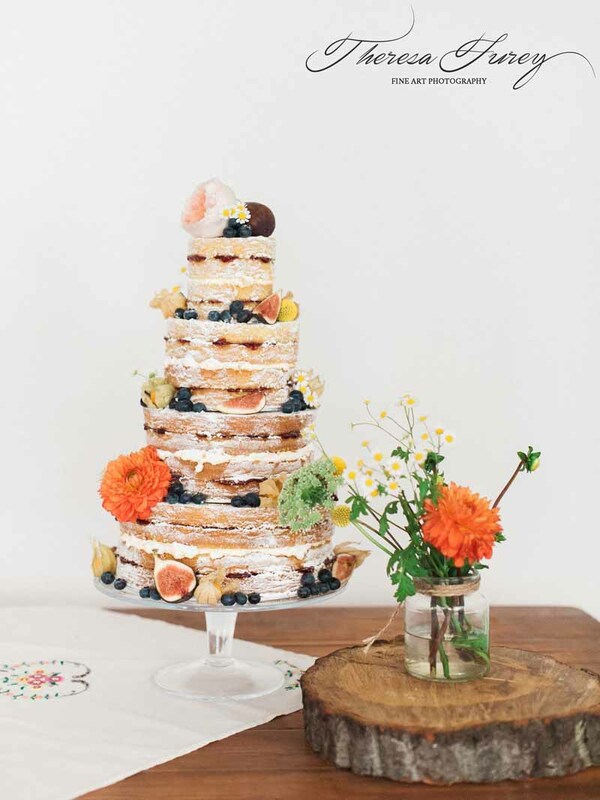 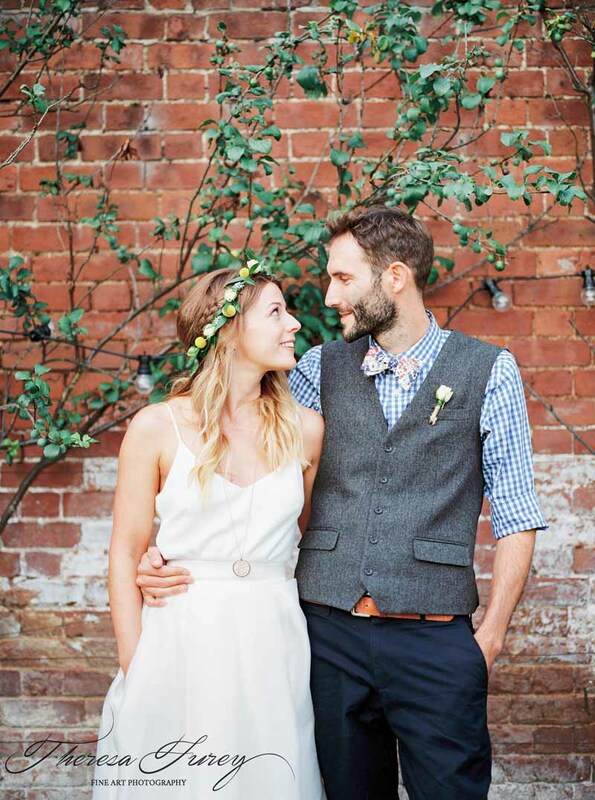 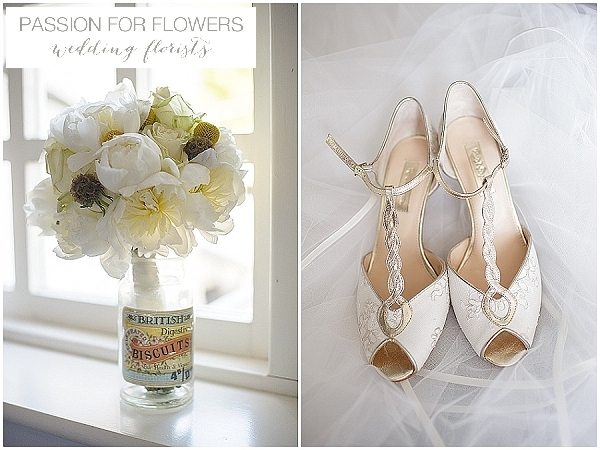 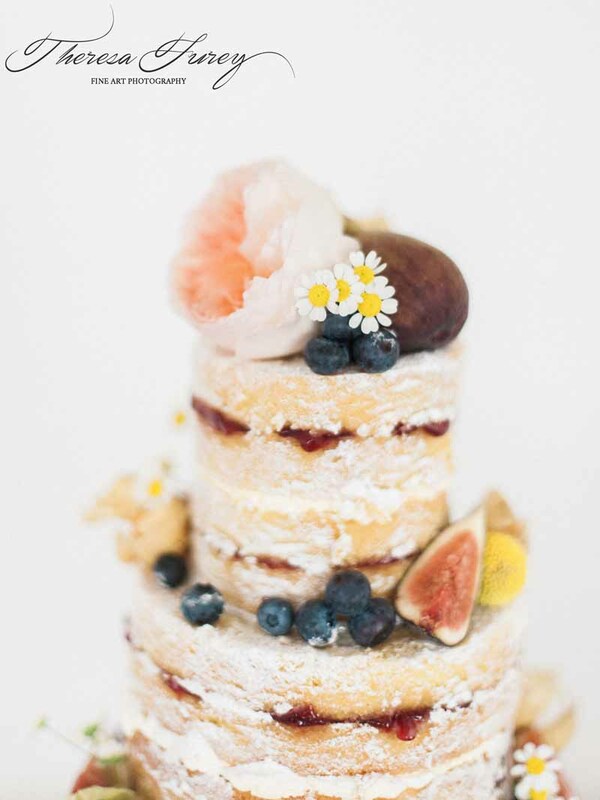 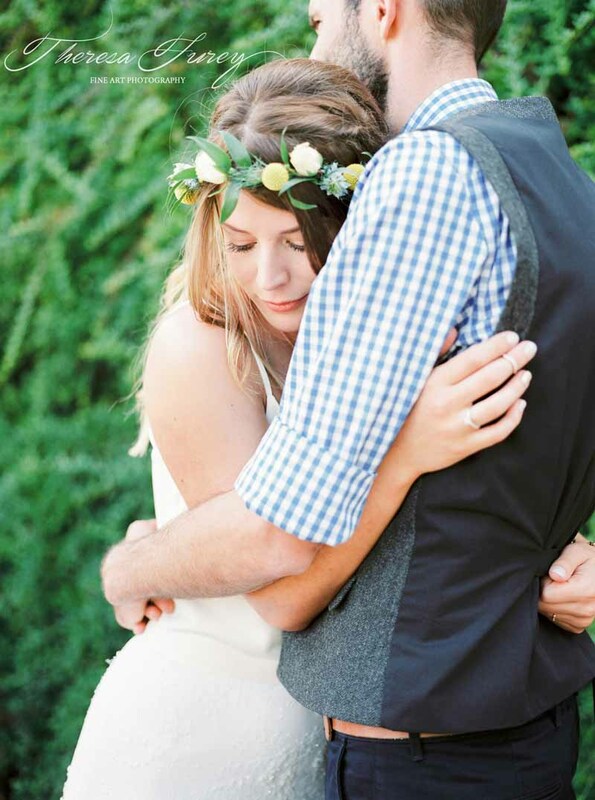 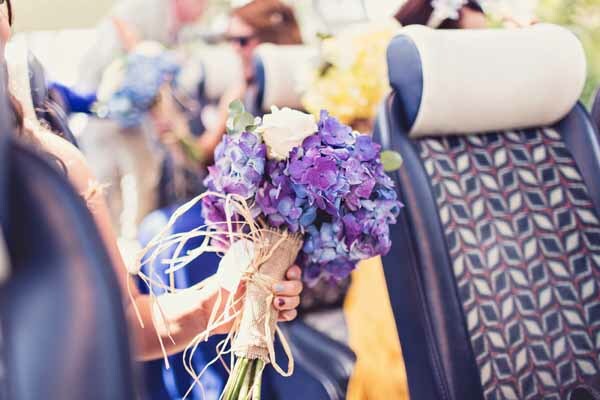 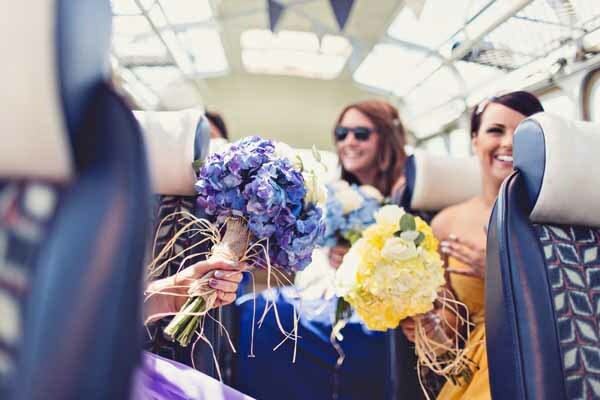 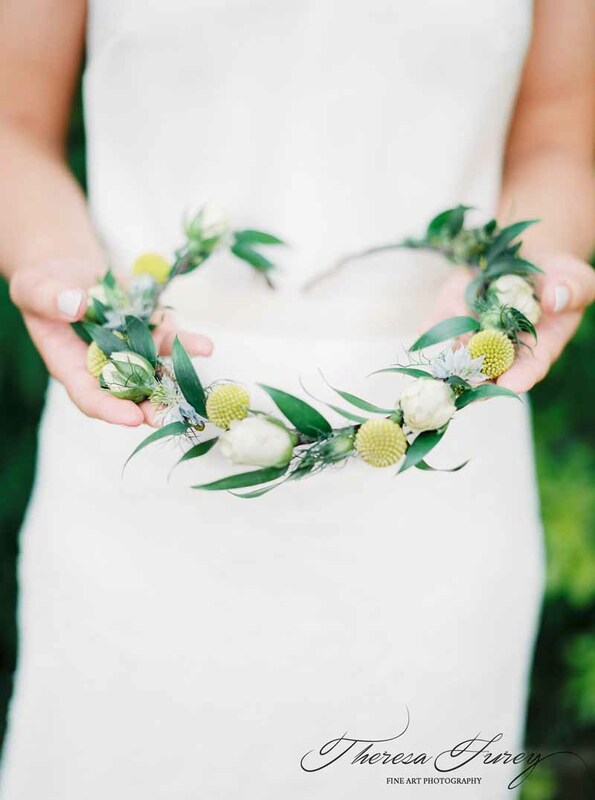 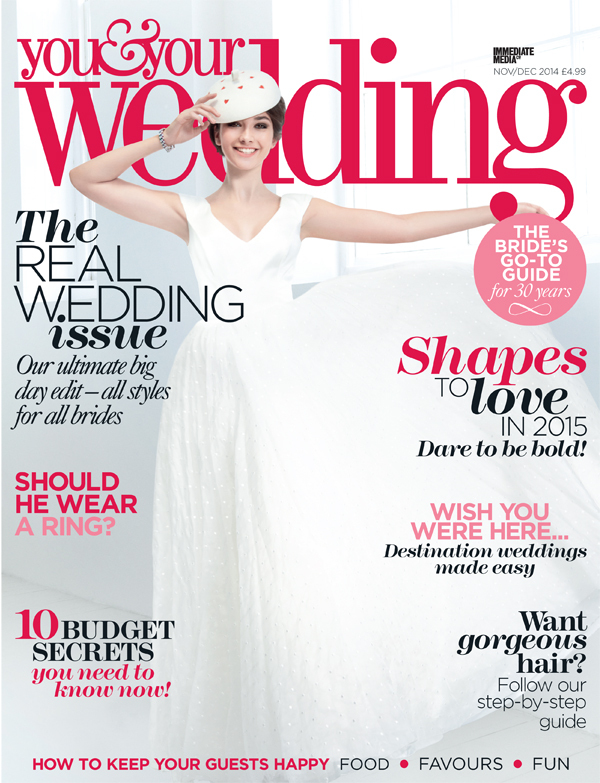 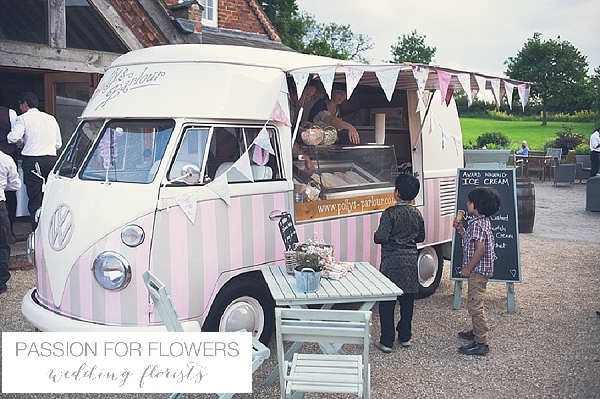 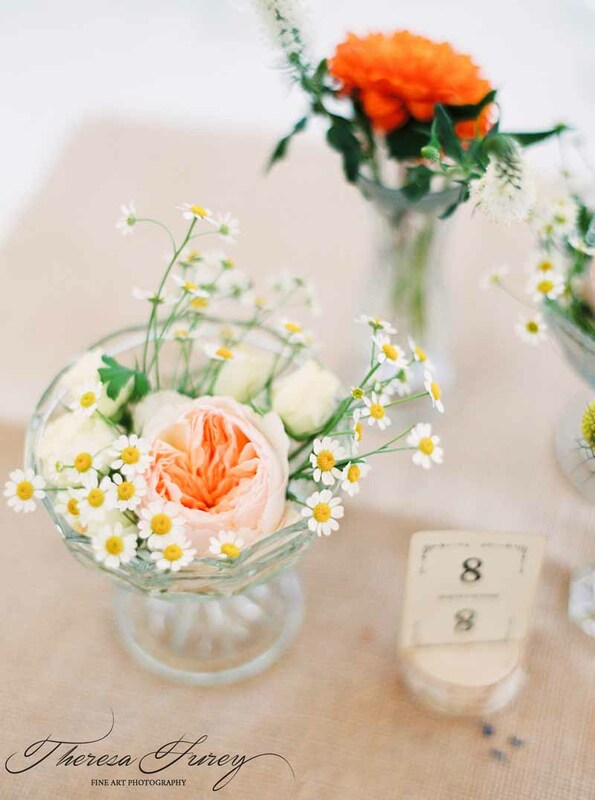 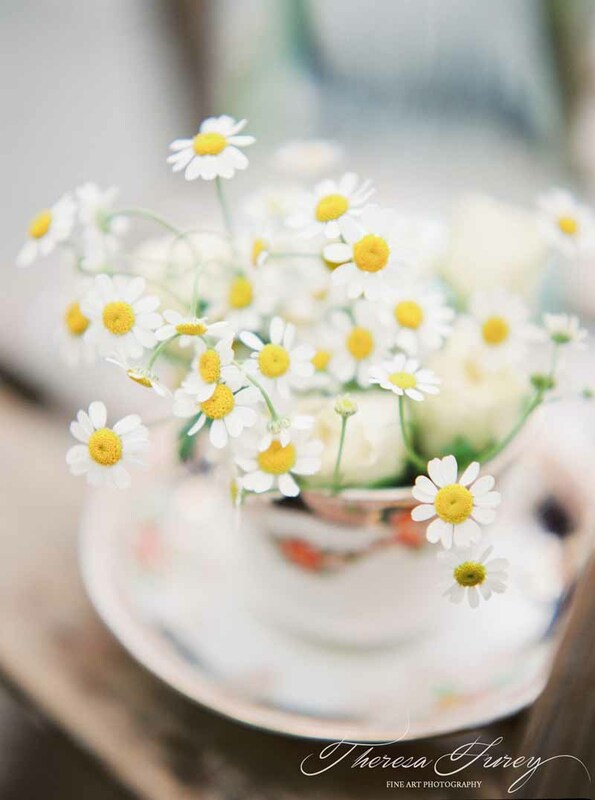 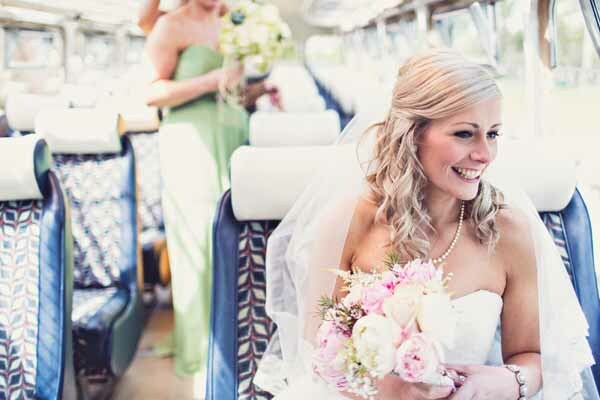 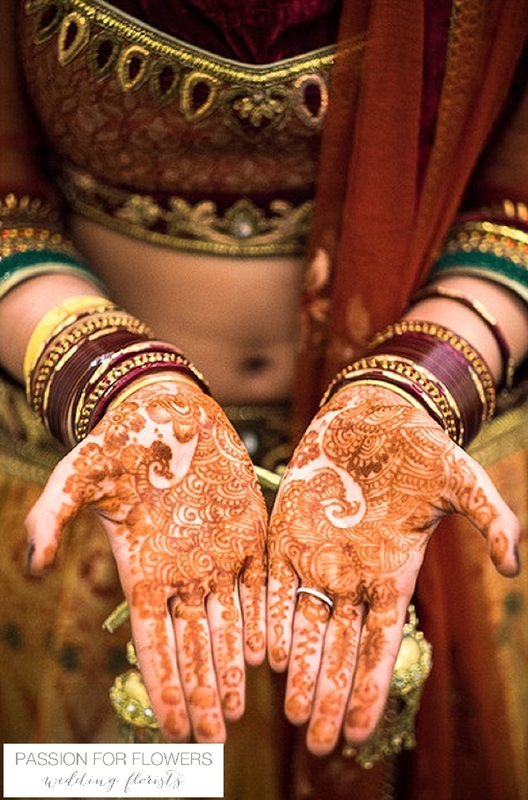 Fab inspiration for a summer wedding. 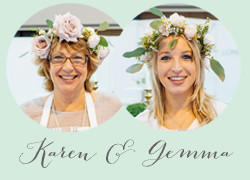 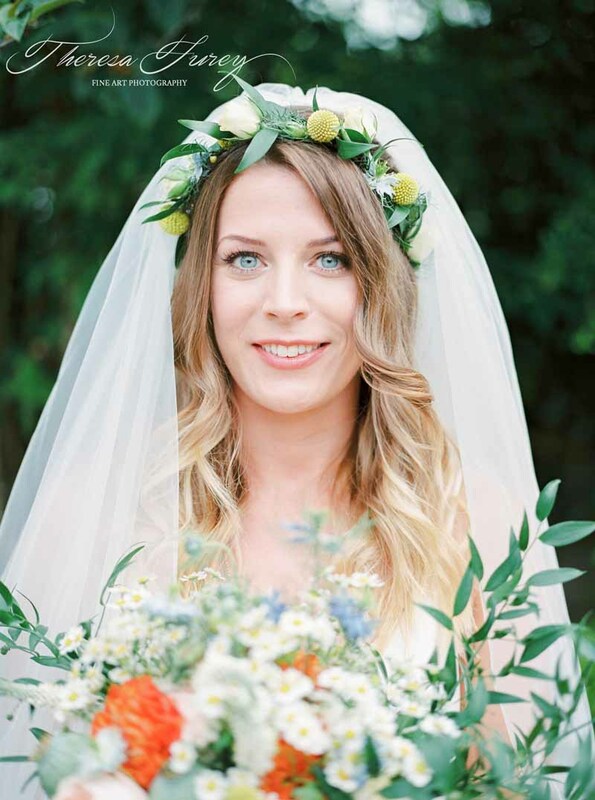 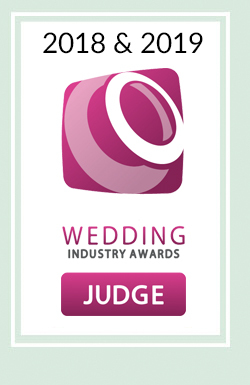 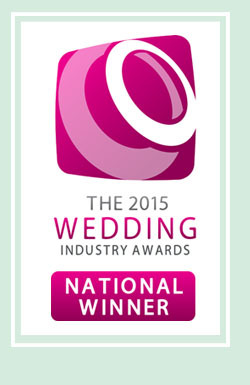 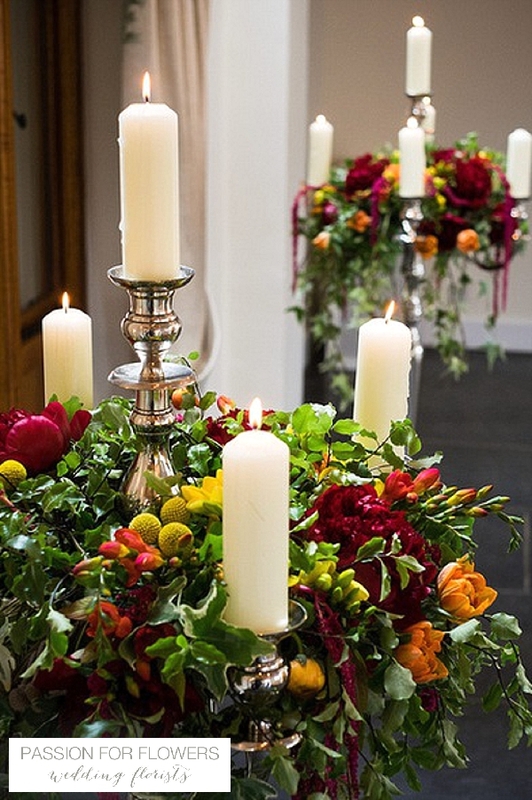 We first met Nicola at The National Wedding Show and were really excited to create Iscoyd Park Wedding Flowers. 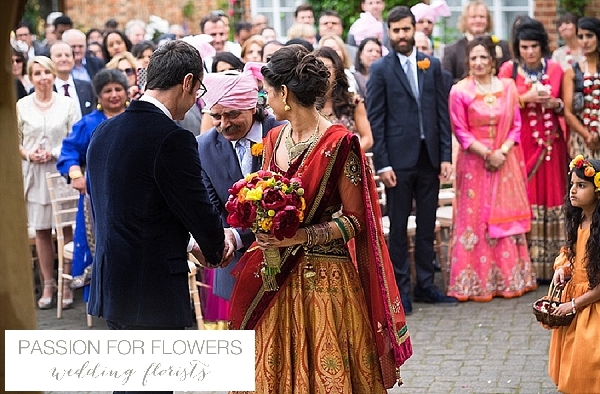 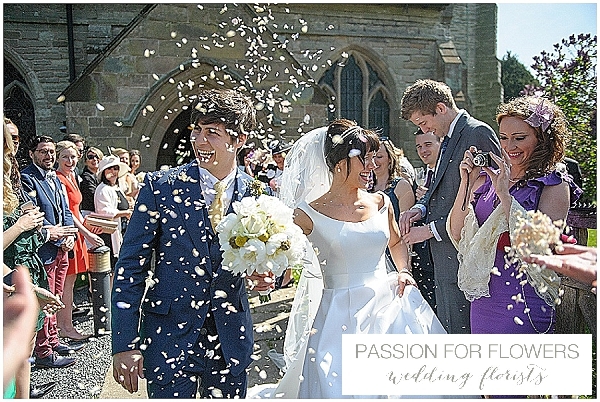 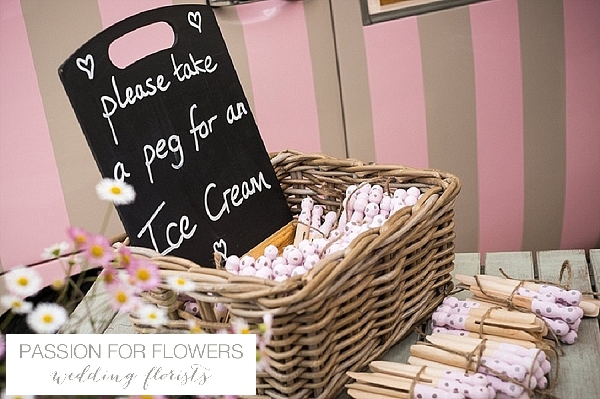 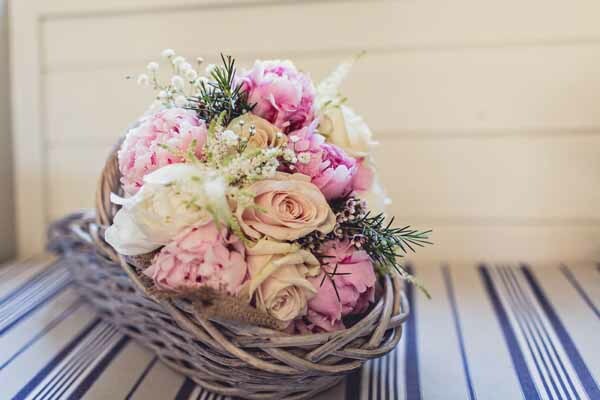 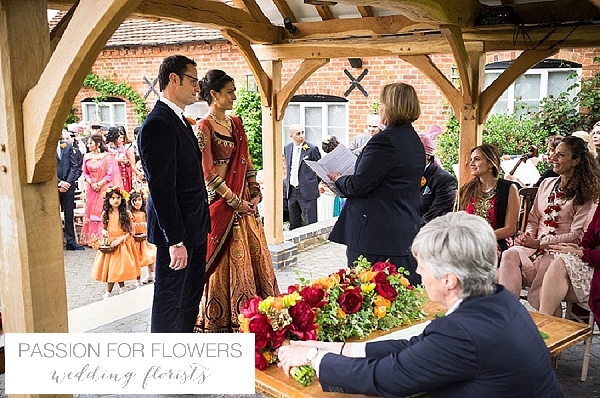 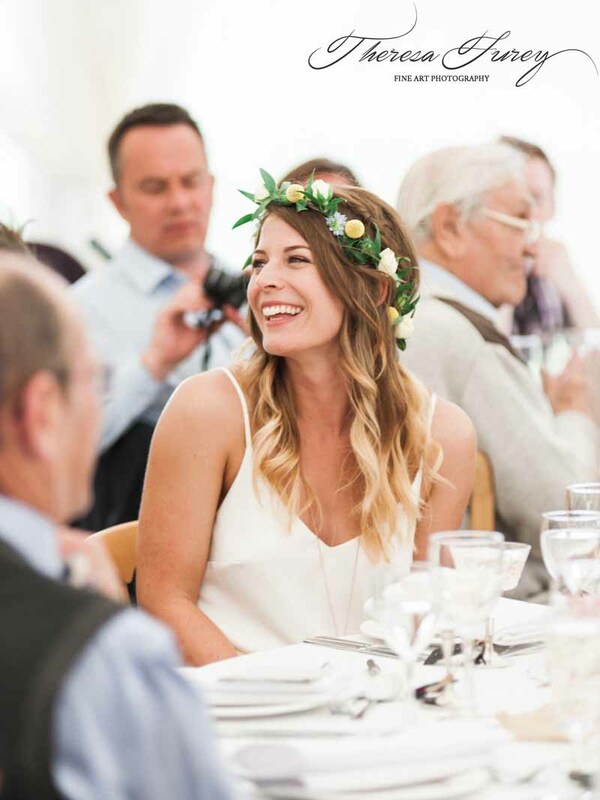 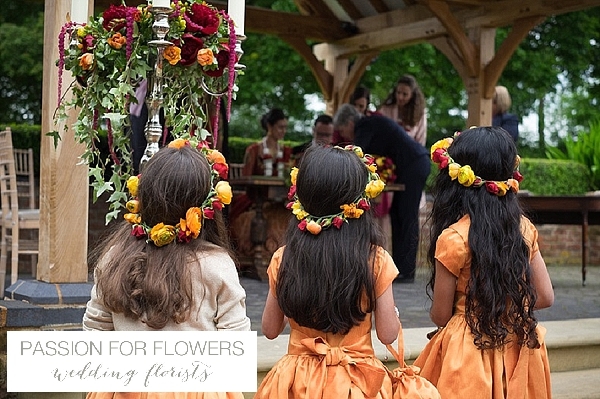 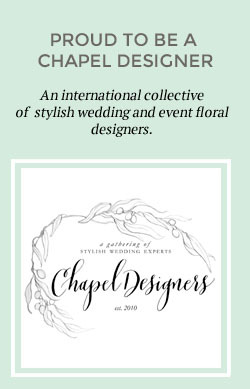 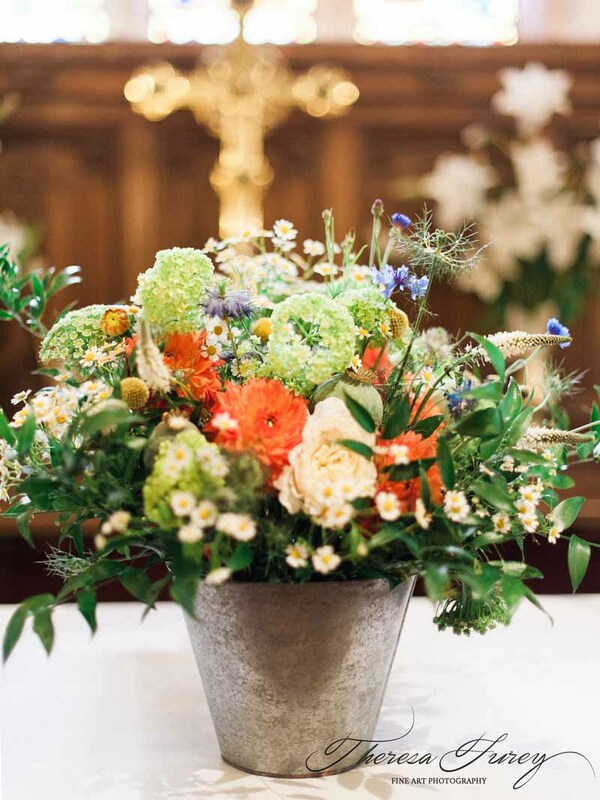 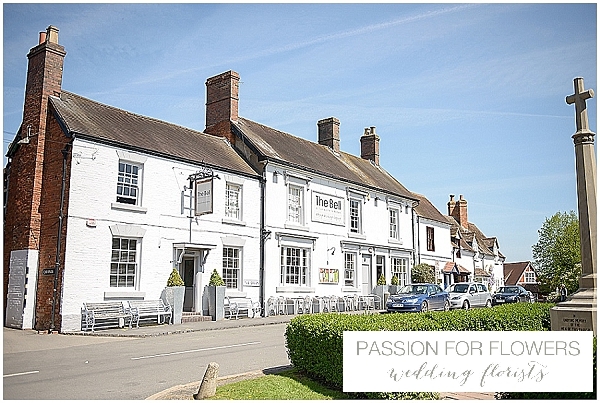 At Passion for Flowers we love working with our couples and creating flowers at their venues and Iscoyd Park and St Mary’s Church were certainly highlights this summer. 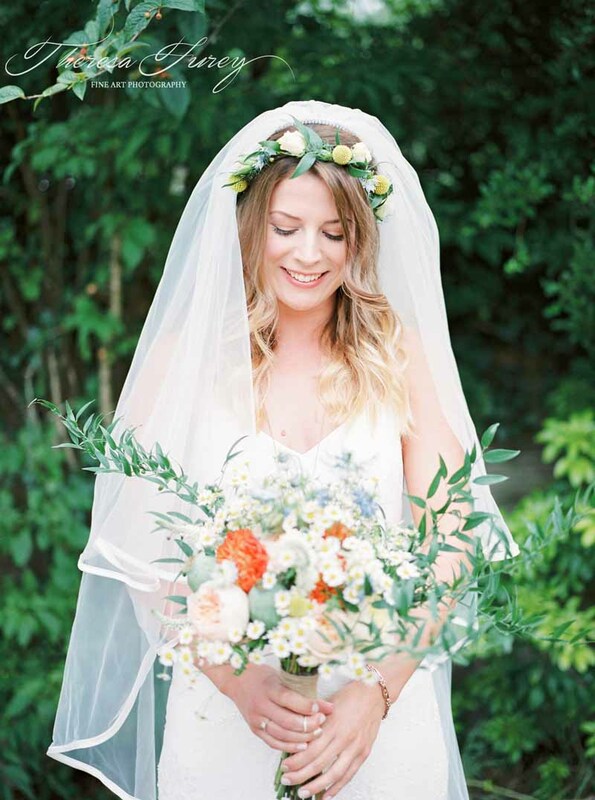 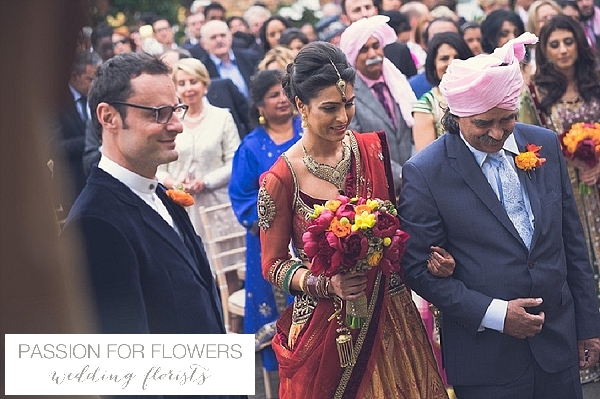 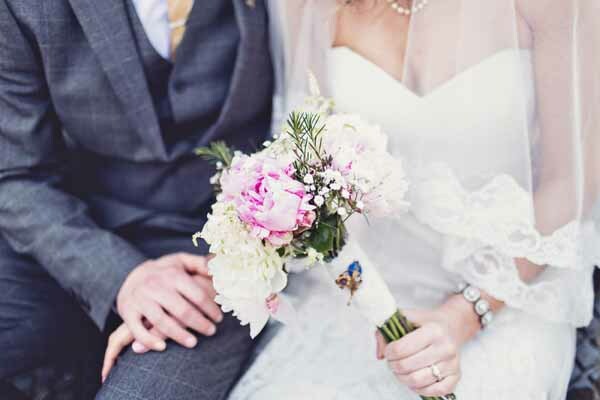 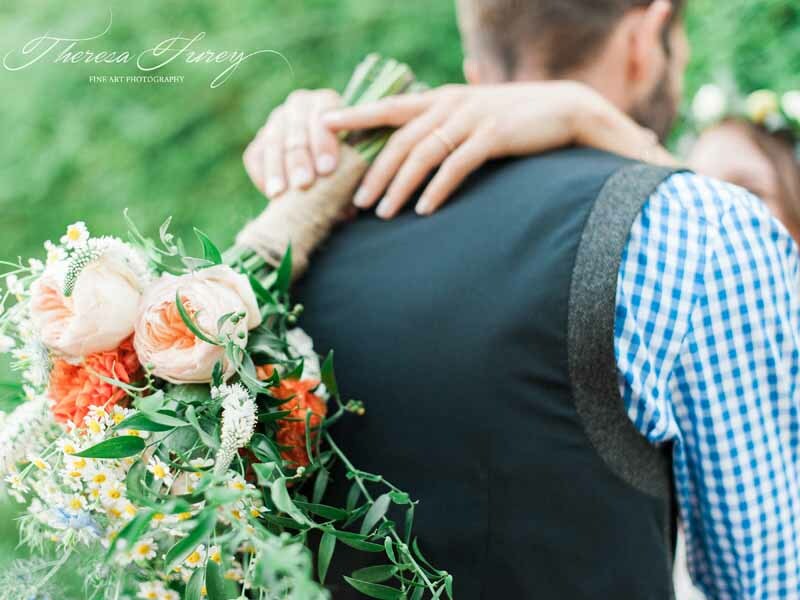 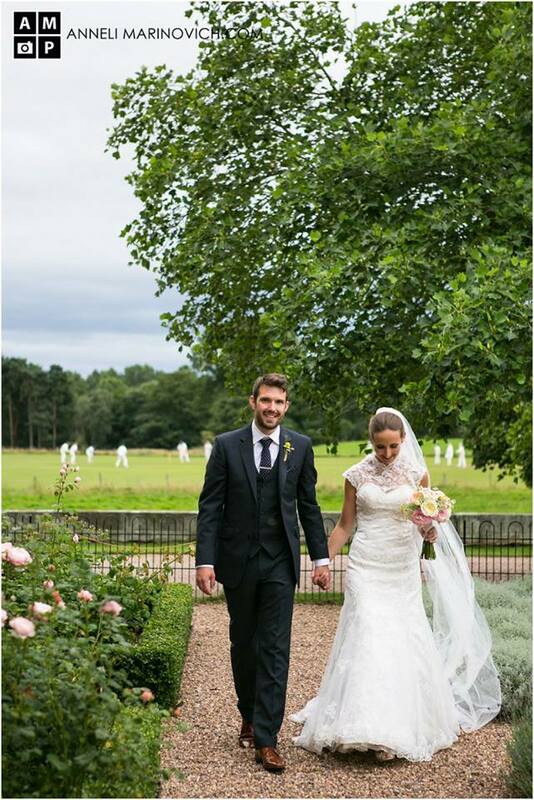 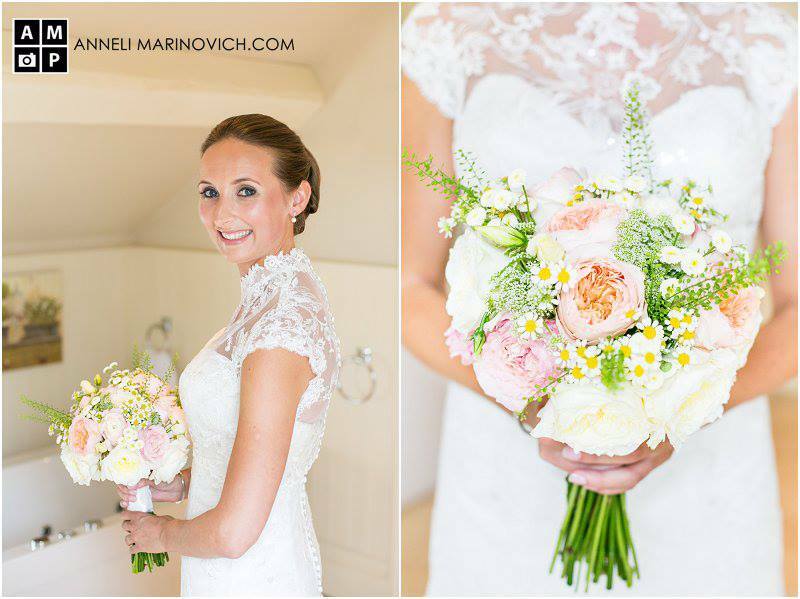 Nicola’s dress was a stunning lace dress and we created a gorgeous hand picked bouquet with a mix of David Austin roses in peach, cream and soft pink combined with just picked daisies, veronica and other summer blooms. 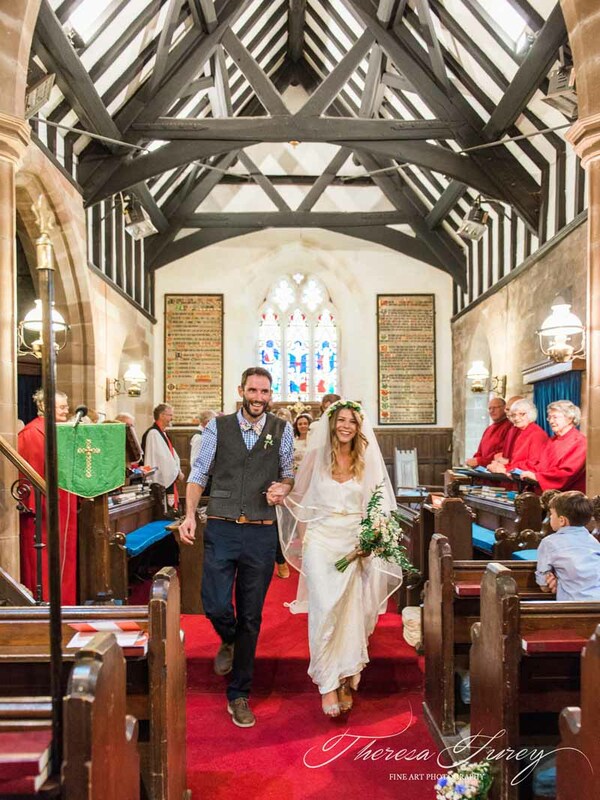 St Mary’s is the most beautiful country church in England, we fell in love with it when we visited it with Nicola and Mark earlier in the year. 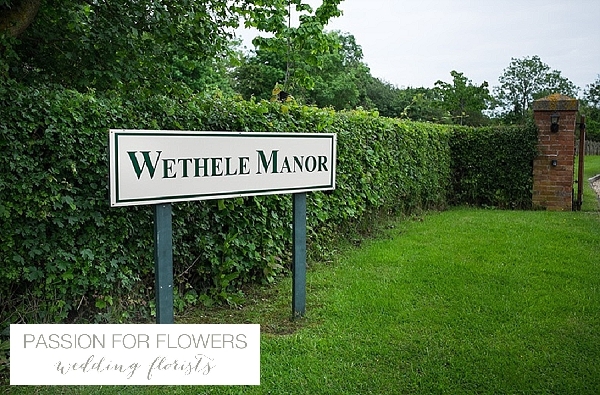 The setting is so wonderful at the end of the lane, within minutes of Iscoyd Park. 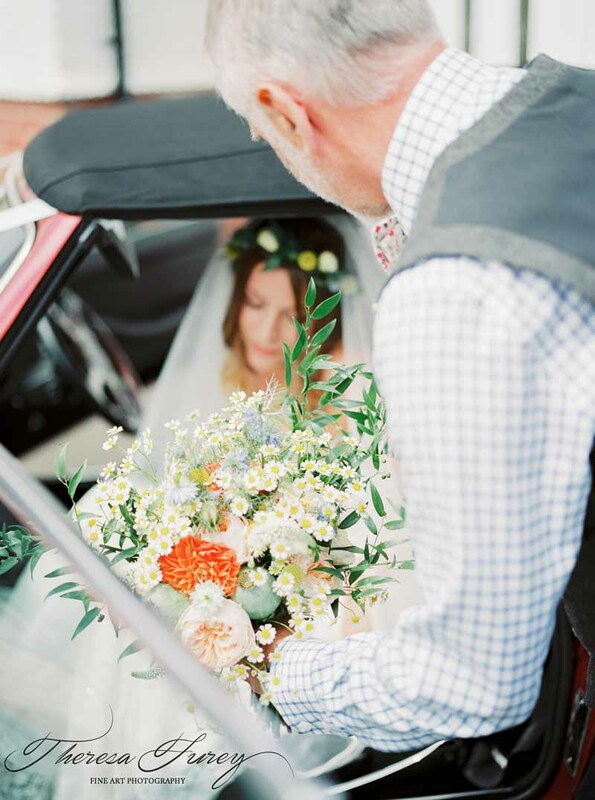 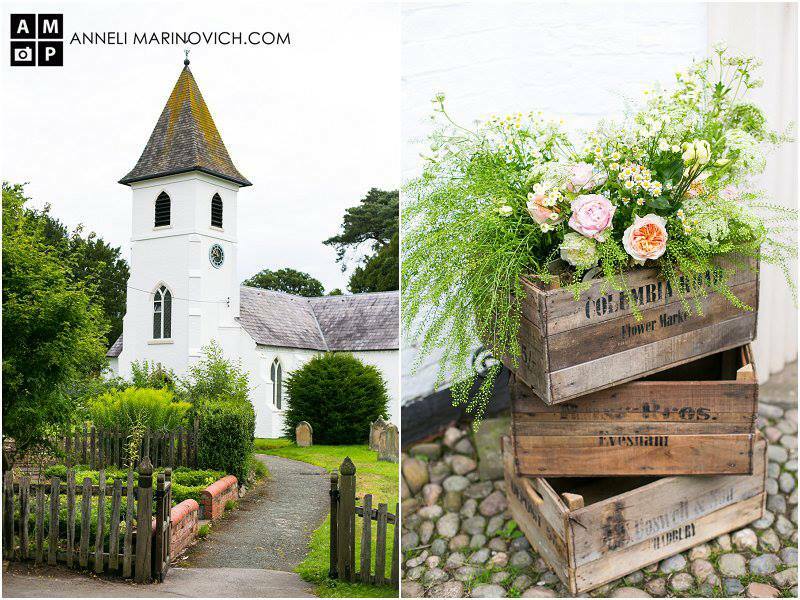 The church just needs country church wedding flowers to make it come to life, rustic crates at the entrance brimming with summer blooms. 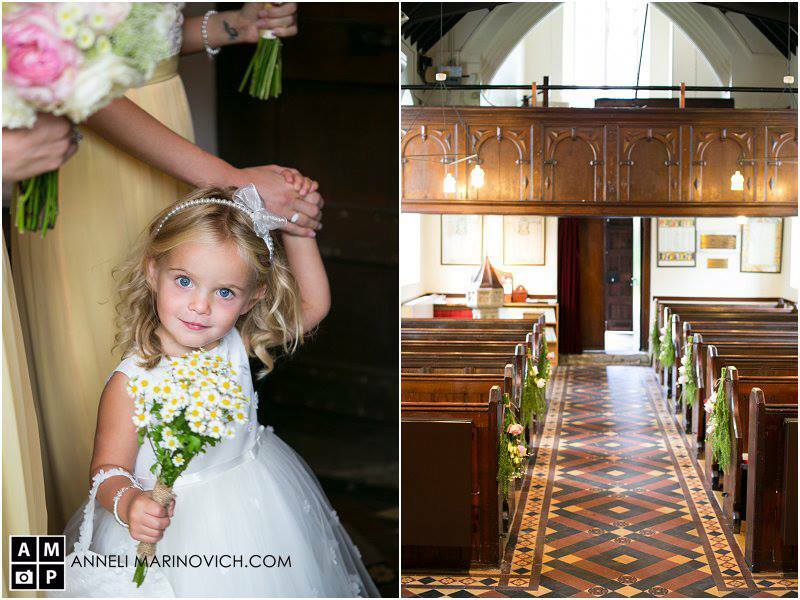 Inside the little church Mark and Nicola knew the church would be packed so we concentrated on the central aisle with just picked pew ends and country church wedding flowers hanging from poles. 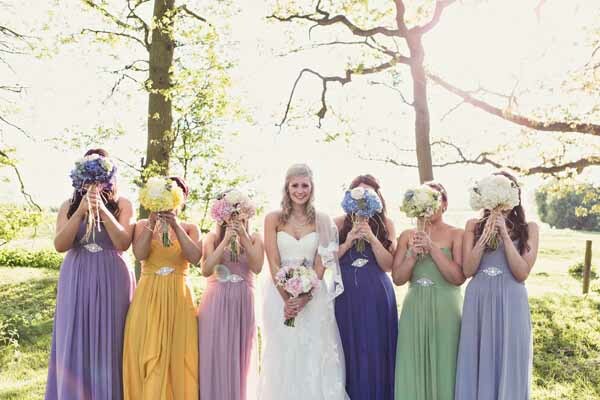 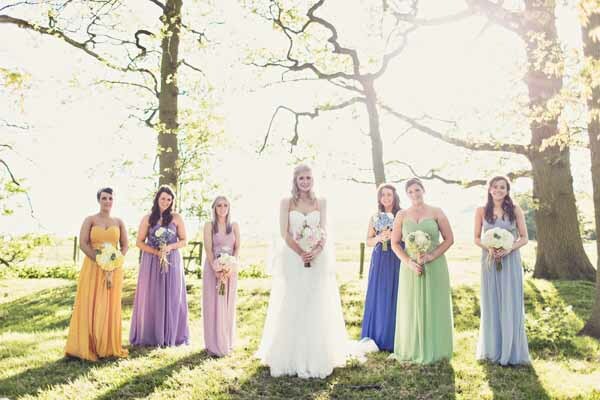 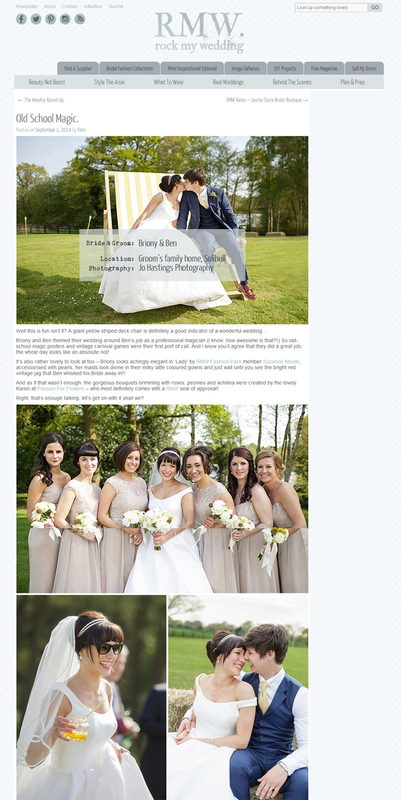 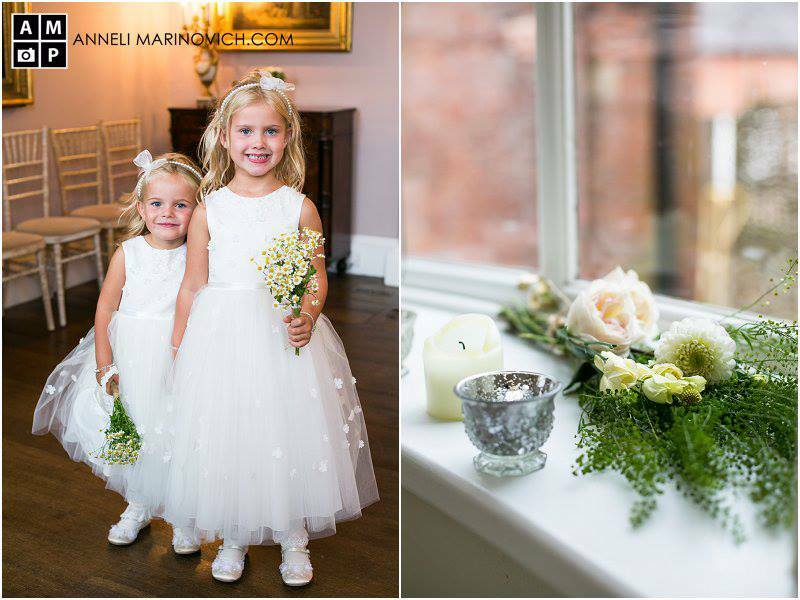 All the rest of the colour came from Nicola and her gorgeous bridesmaids and cute flower girls. 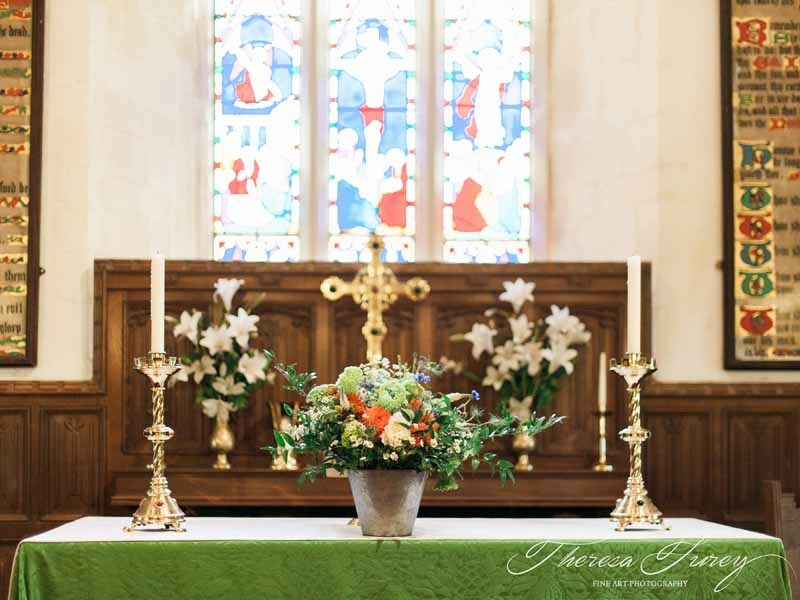 We were thrilled when the Church Warden commented they were the best church flowers she had seen! 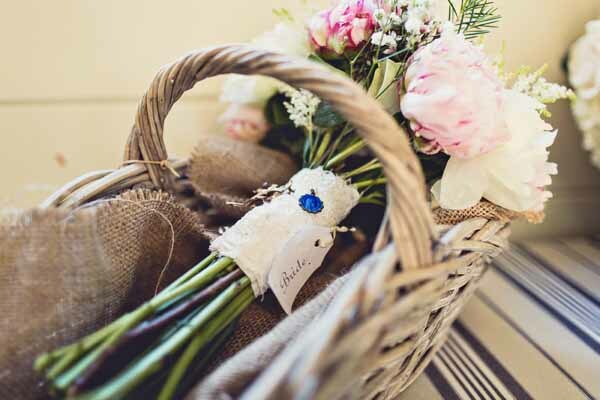 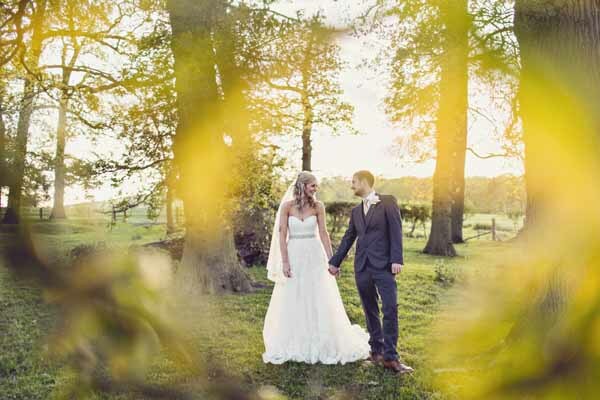 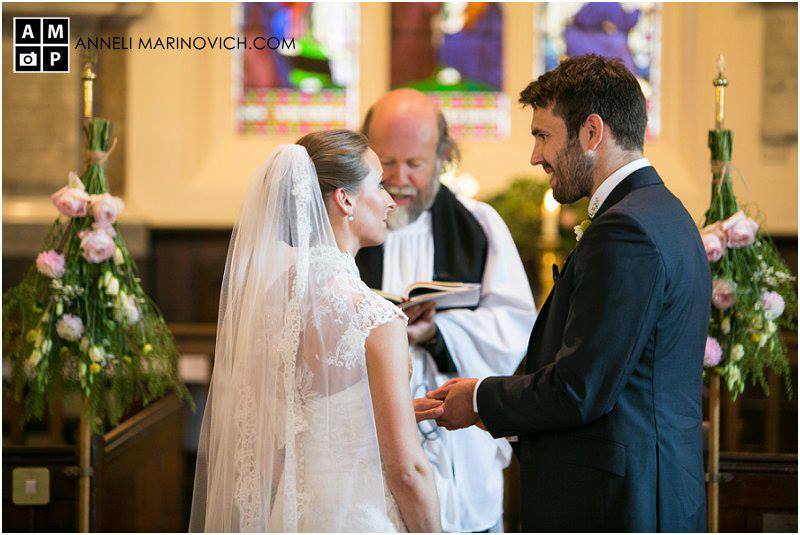 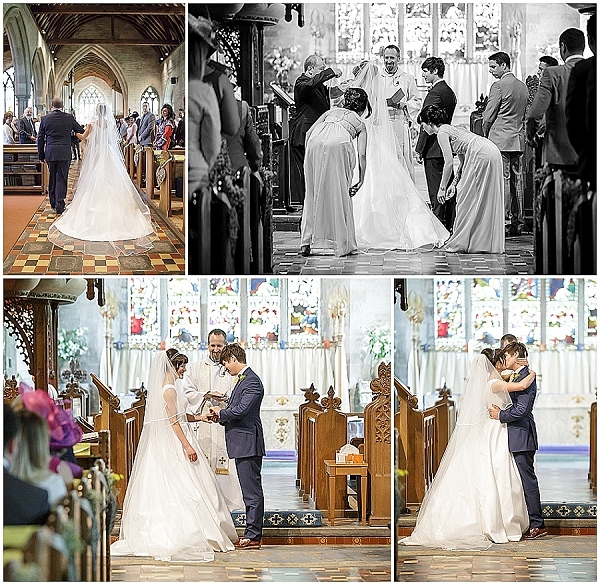 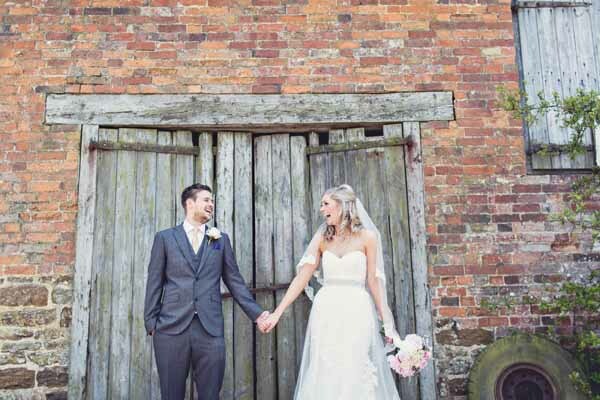 Mark wanted a mix of hand tied button holes tied with twine – just perfect for this country church wedding. 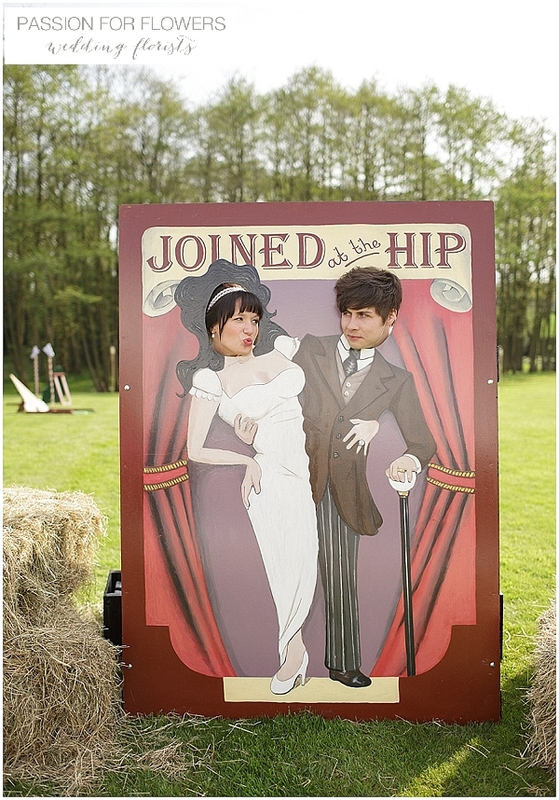 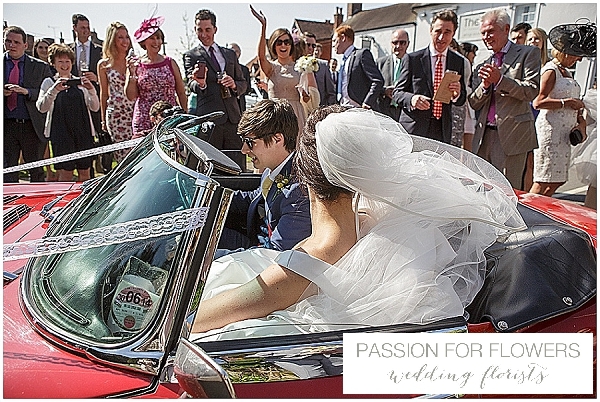 Don’t you just love the invitation with Mark and Nicola on their tandem outside the church? 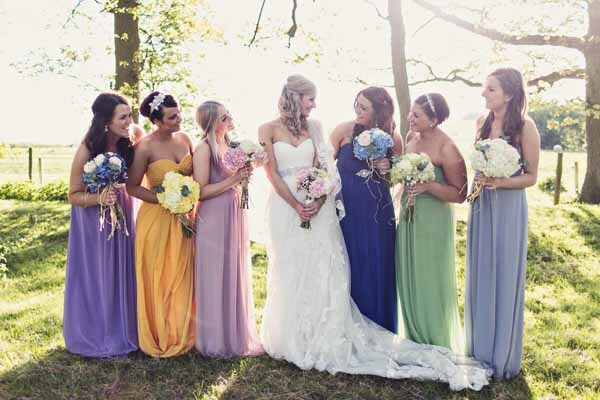 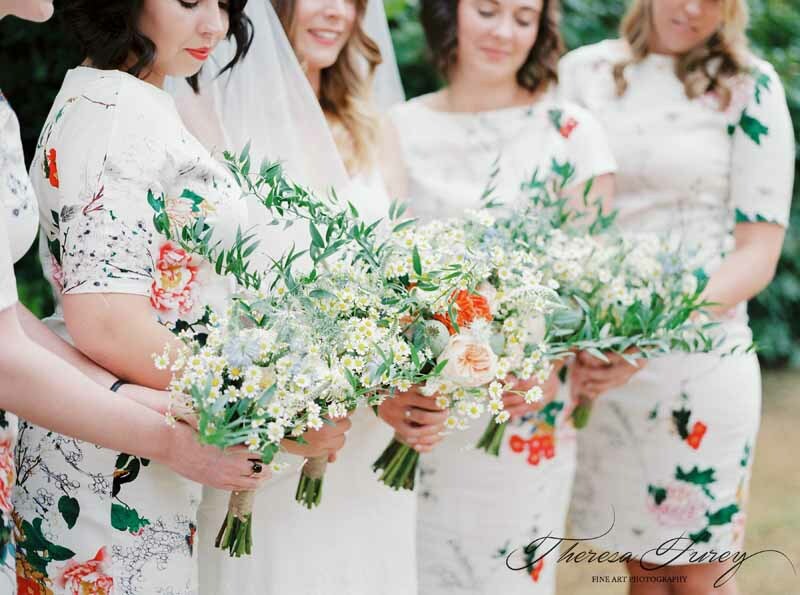 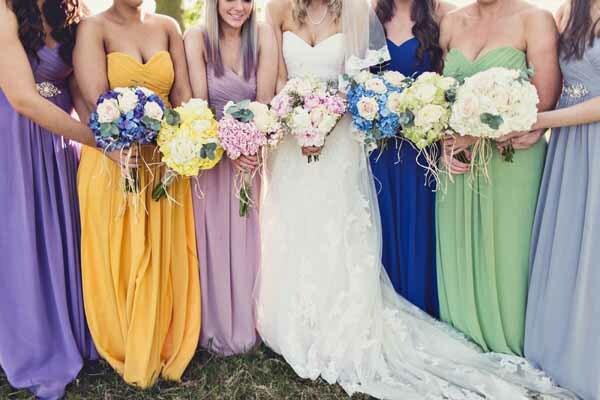 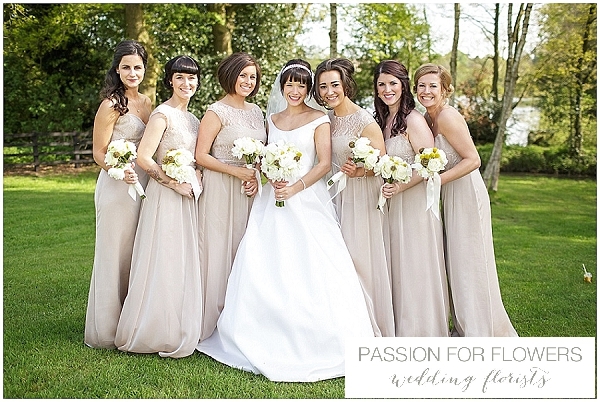 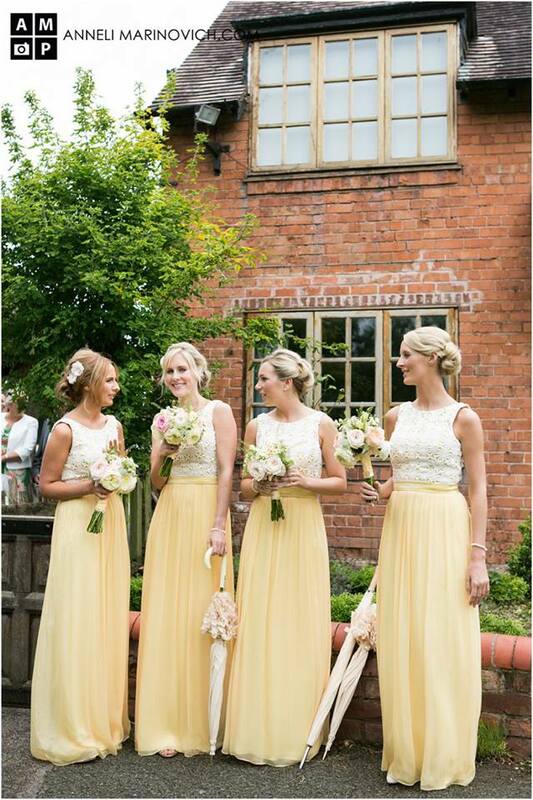 The bridesmaids dresses were one of the first things Nicola had told me about. 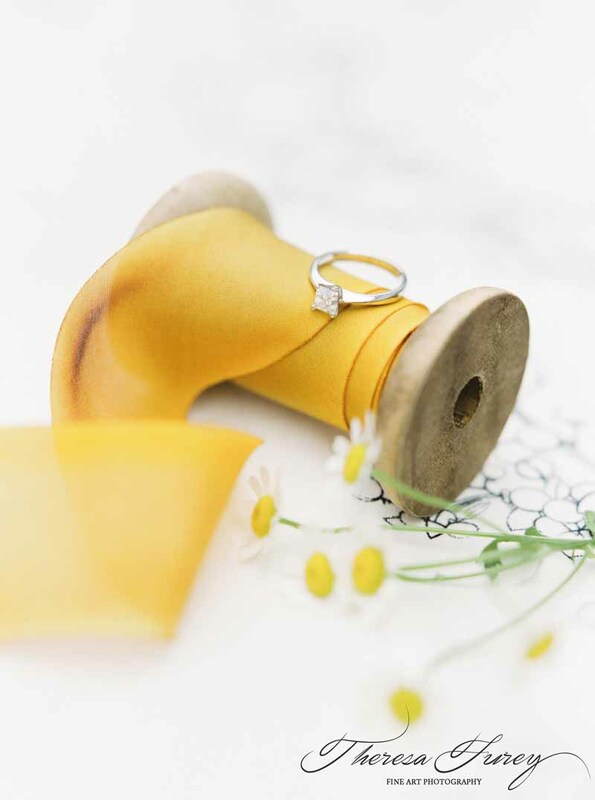 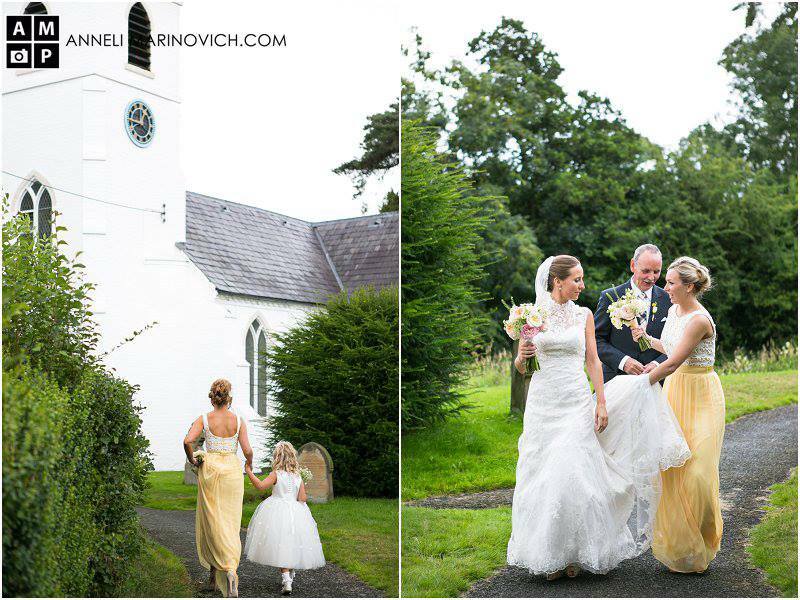 The buttercup yellow dresses would set the colour palette for the day. 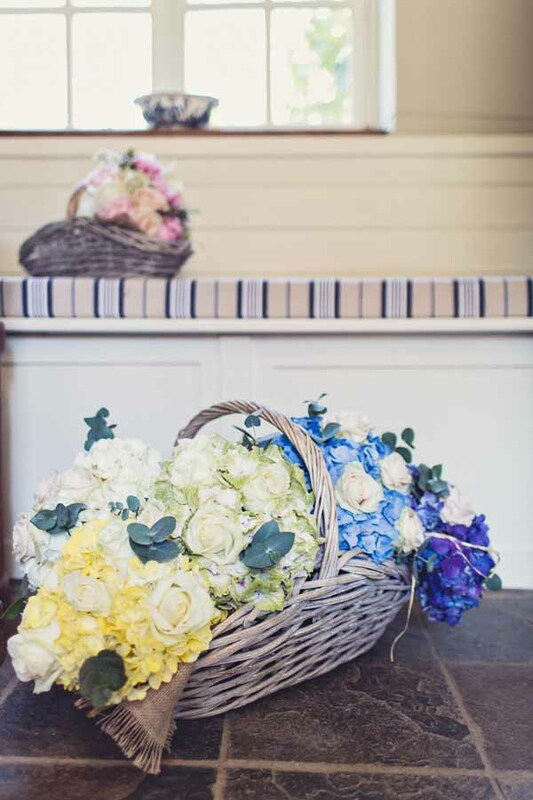 We complemented these with hand tied bouquets with just picked daisies ad David Austin roses in cream. 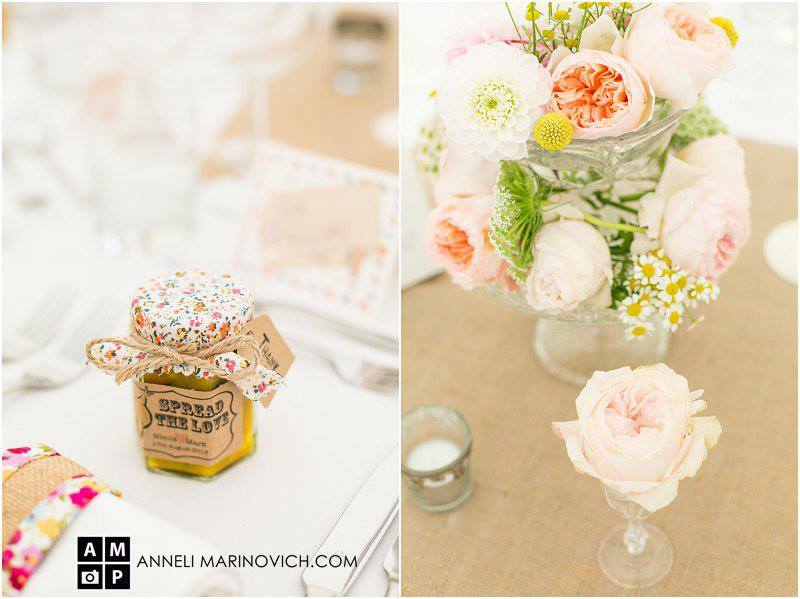 soft pink and peach. 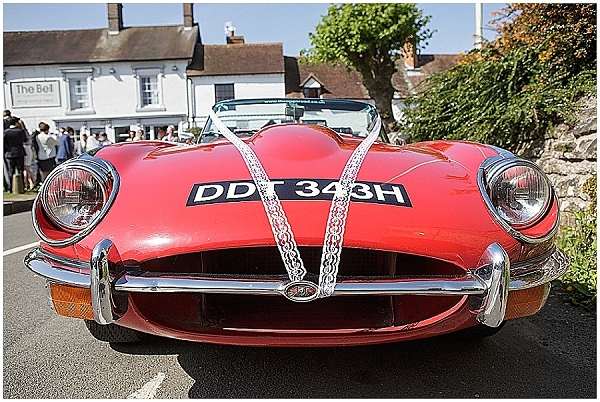 The wedding car Nicola and Mark had found was also called ‘Buttercup’ which really brought a smile to my face. 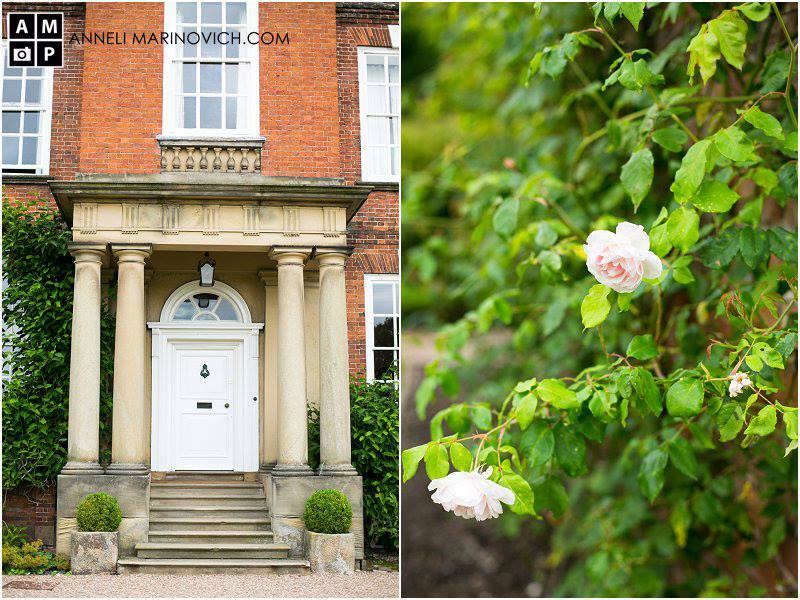 The gardens at Iscoyd Park are simply stunning. 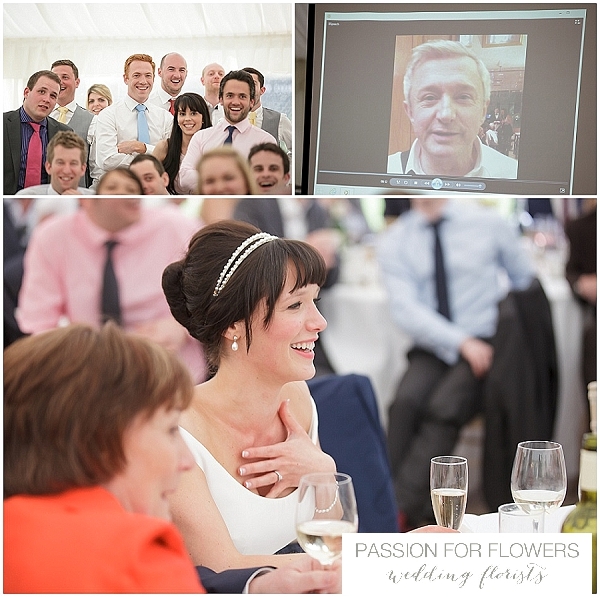 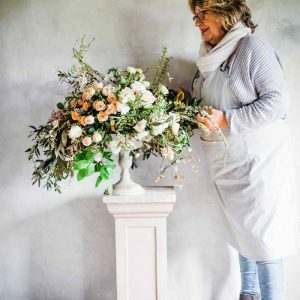 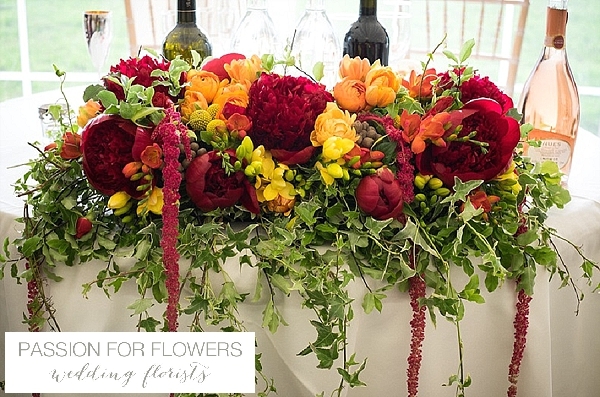 One of the delights of creating Iscoyd Park Wedding Flowers was the opportunity to visit with Mark and Nicola, something at Passion for Flowers we always do for new venues to us. 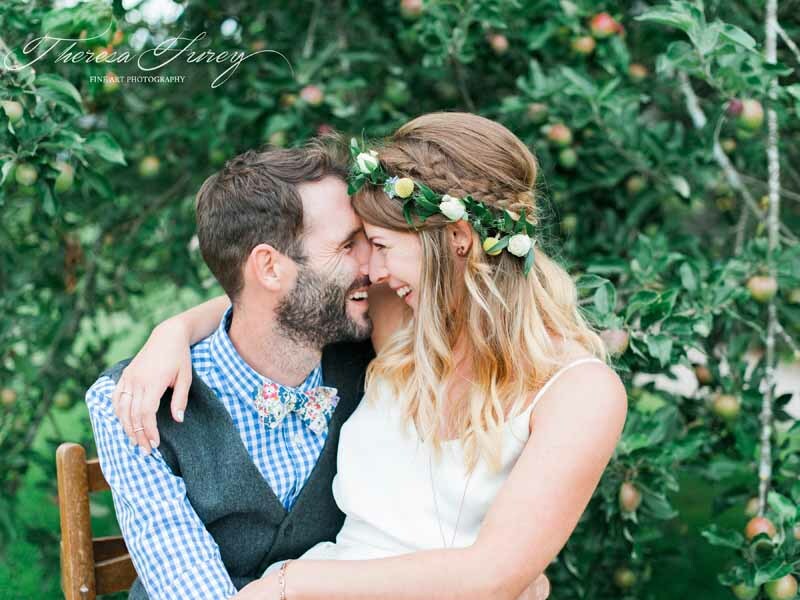 We found the perfect tree for hanging bottles and love the photos with the cricket game taking place. 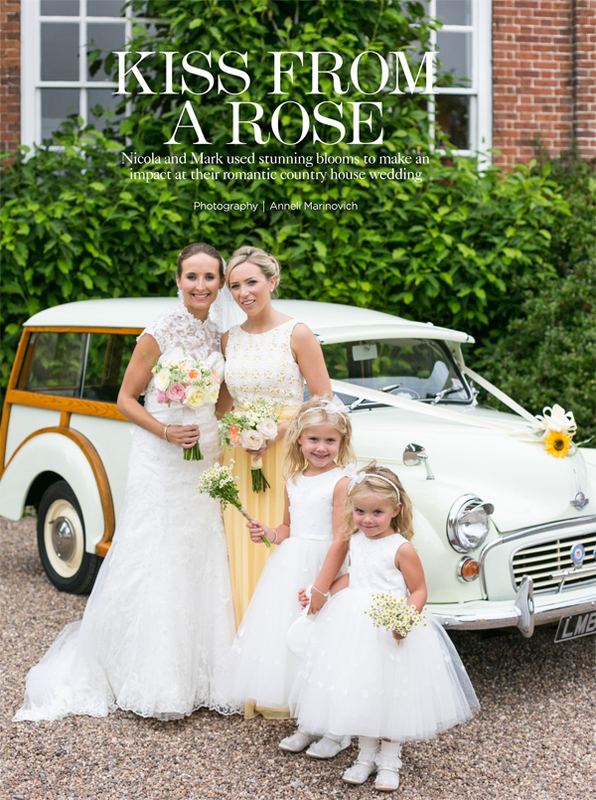 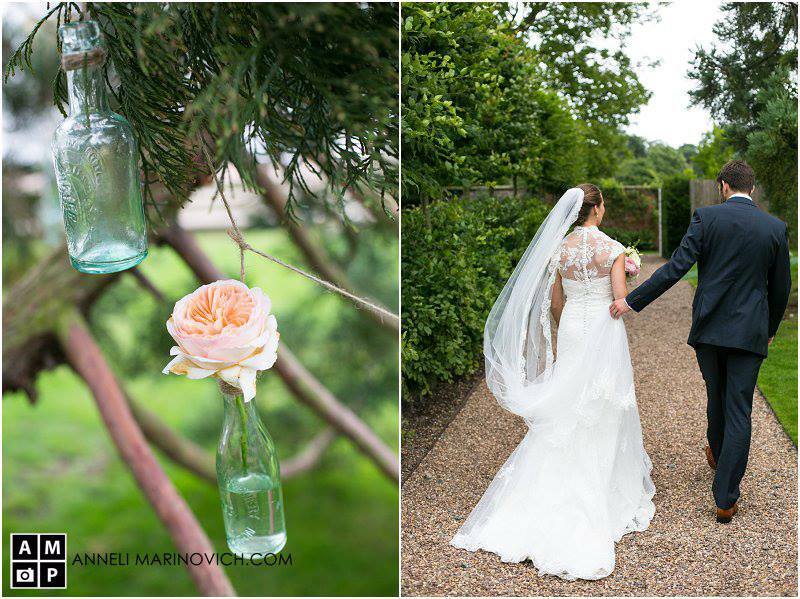 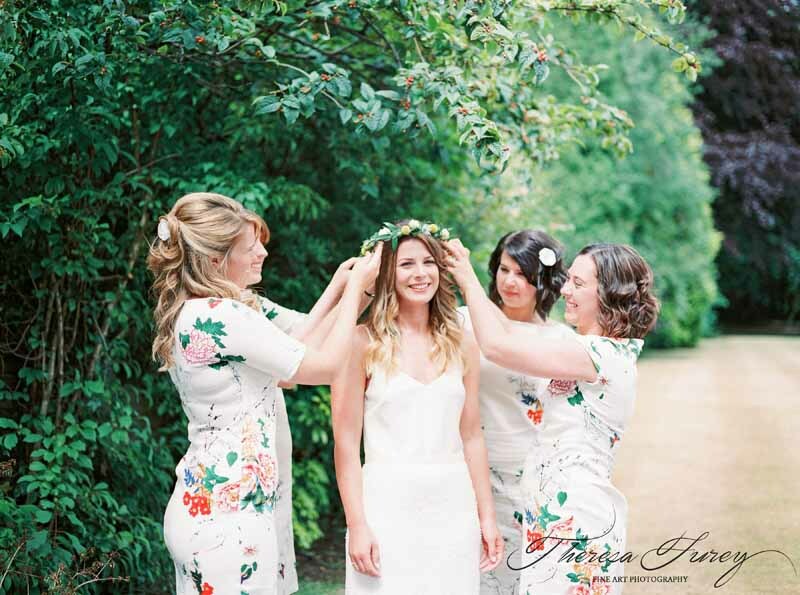 The garden at Iscoyd Park was brimming with roses and other blooms perfect as a backdrop to Nicola and Mark on their wedding day. 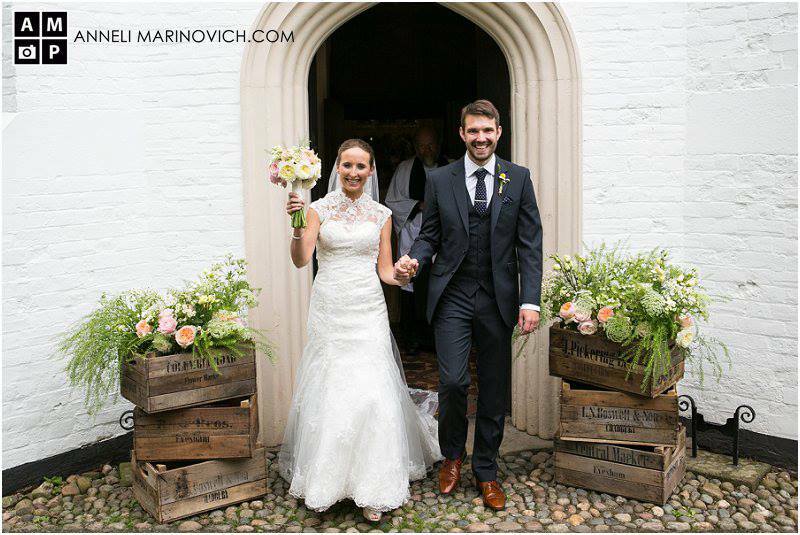 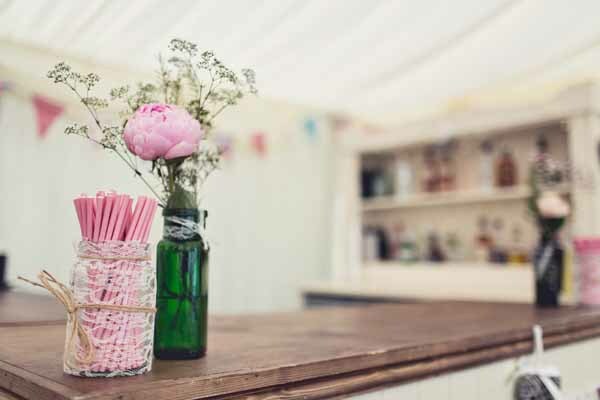 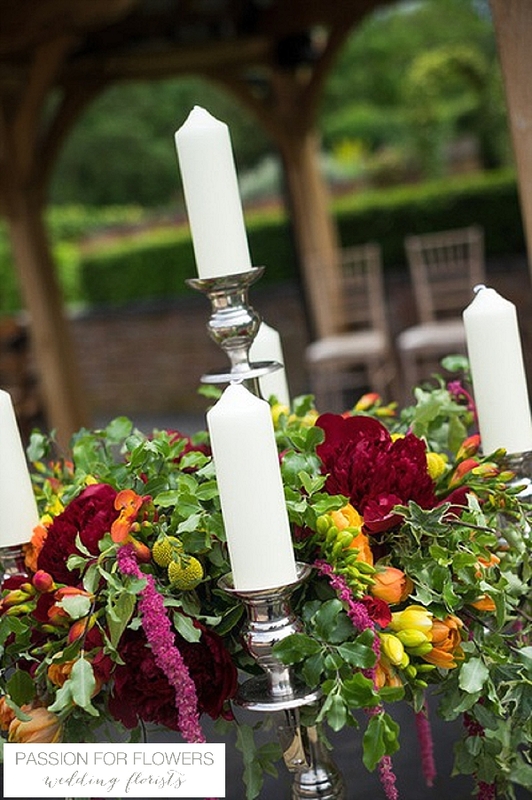 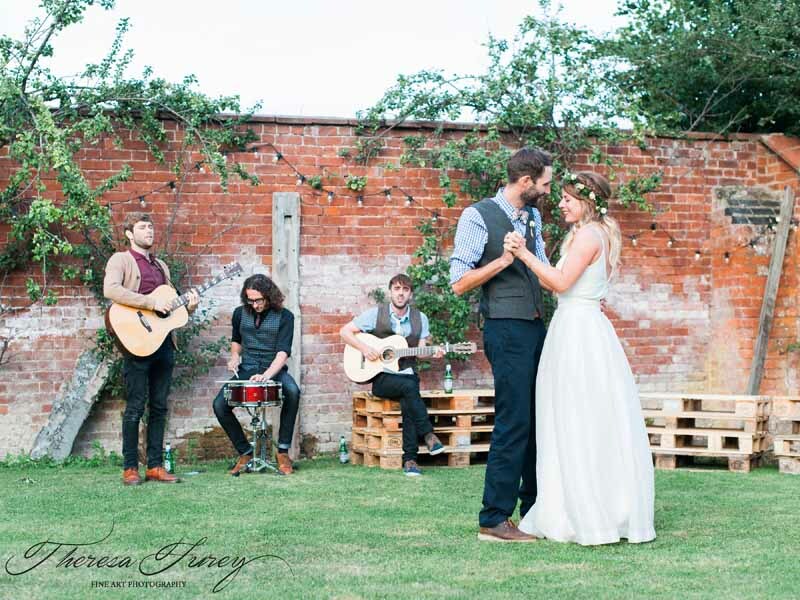 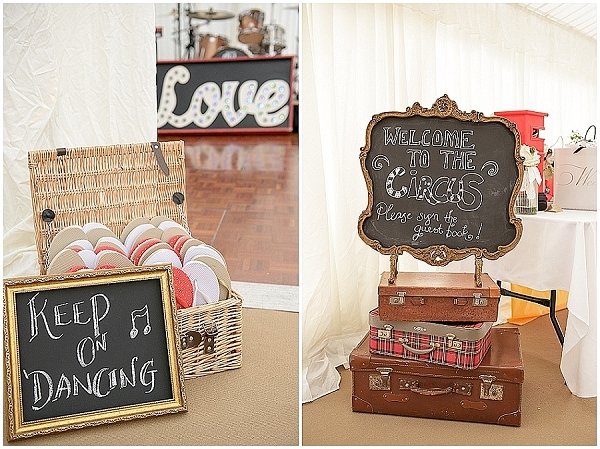 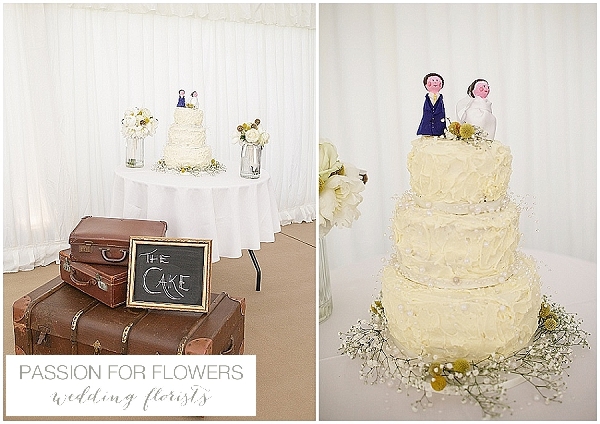 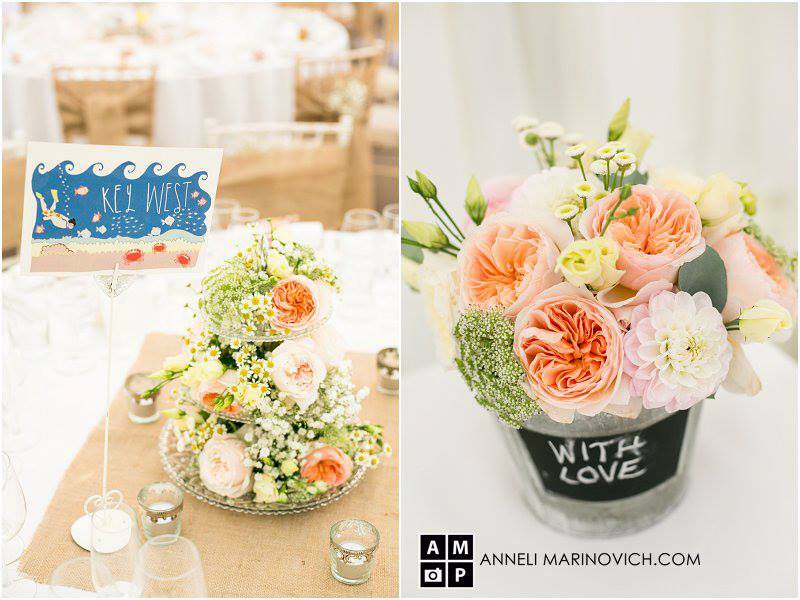 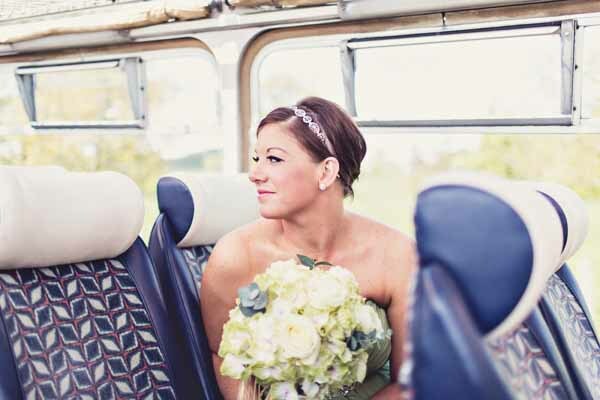 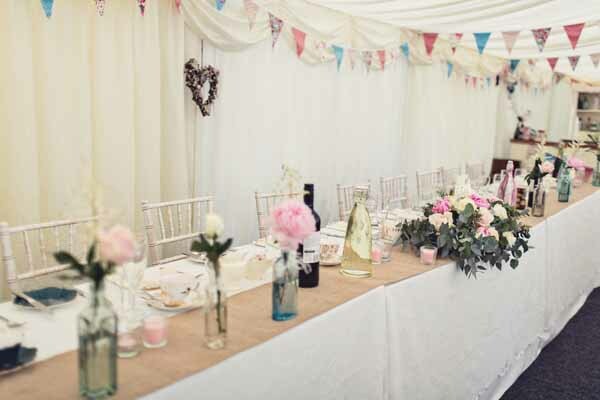 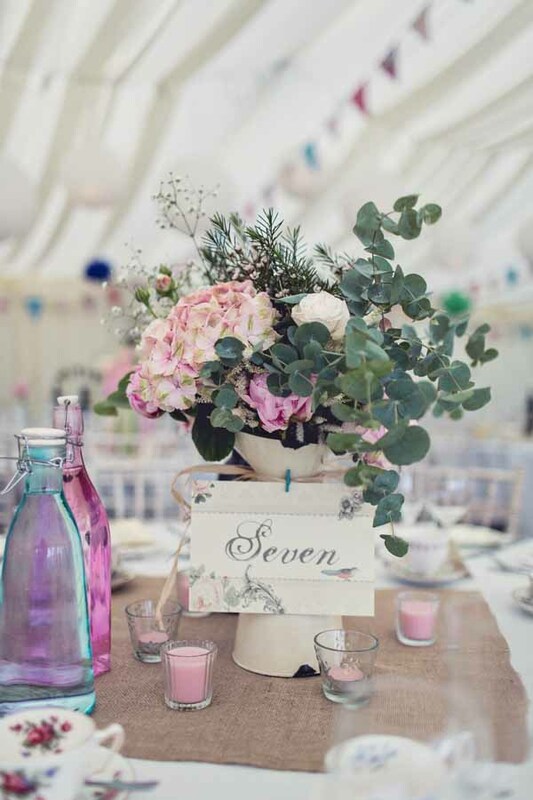 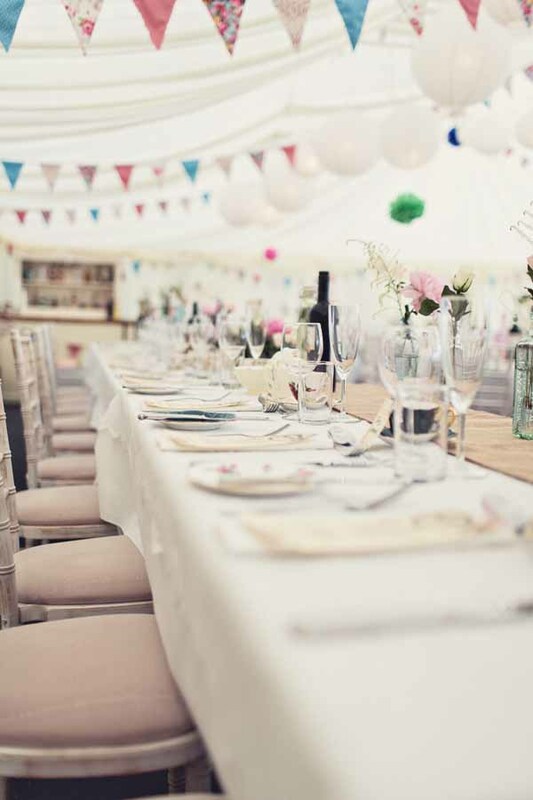 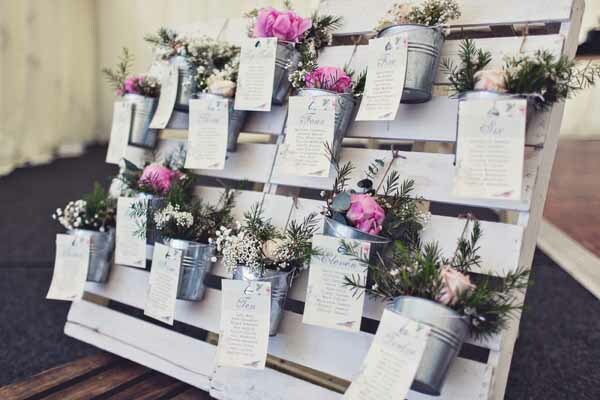 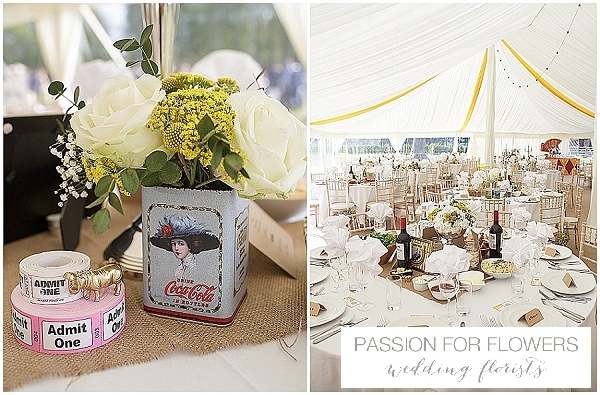 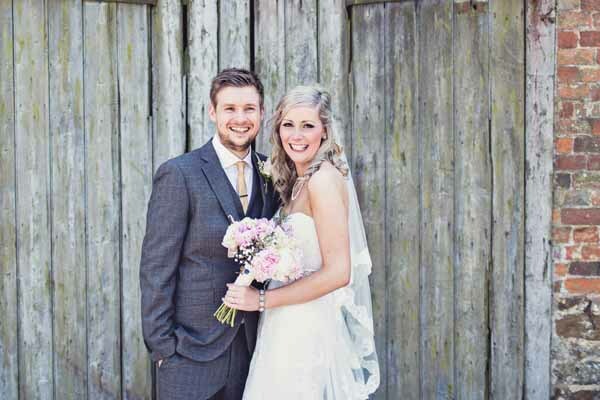 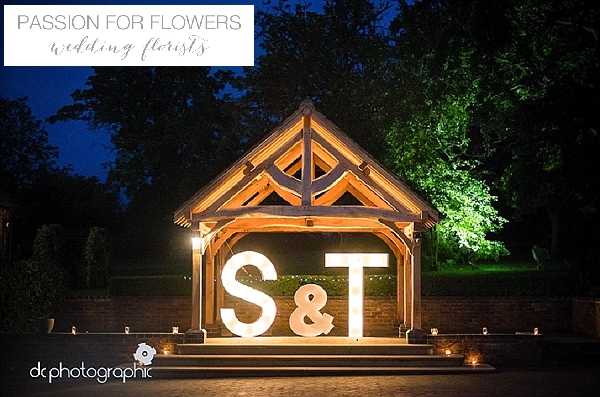 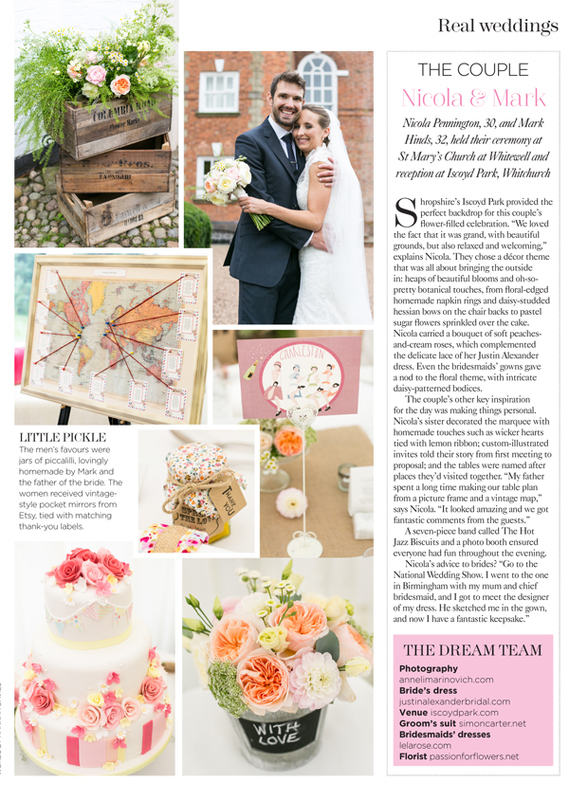 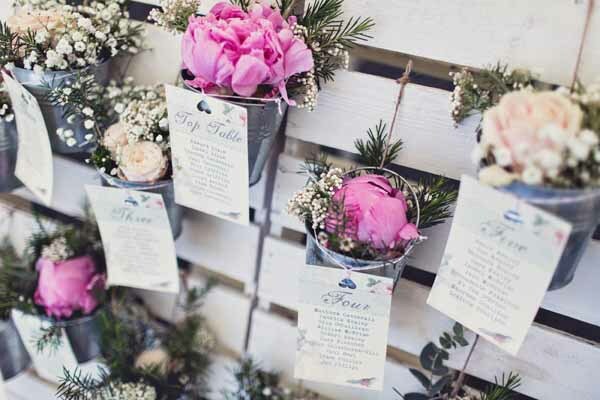 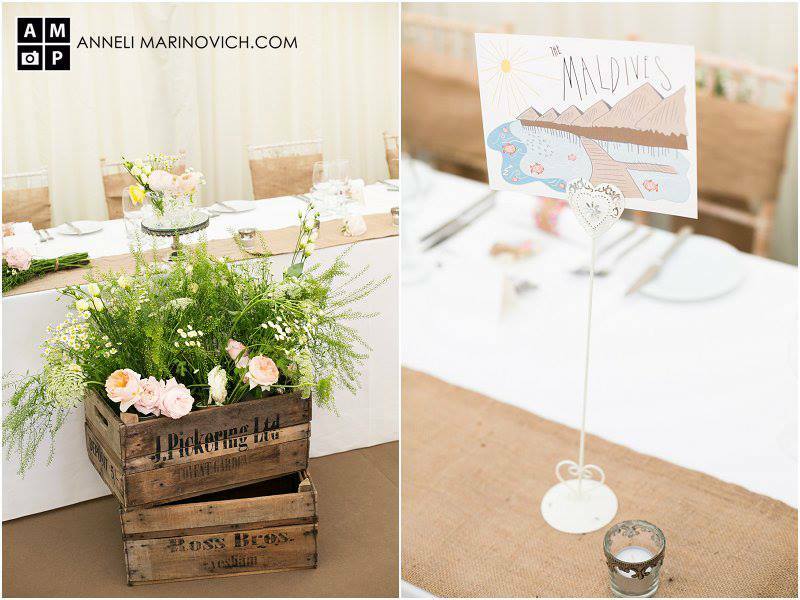 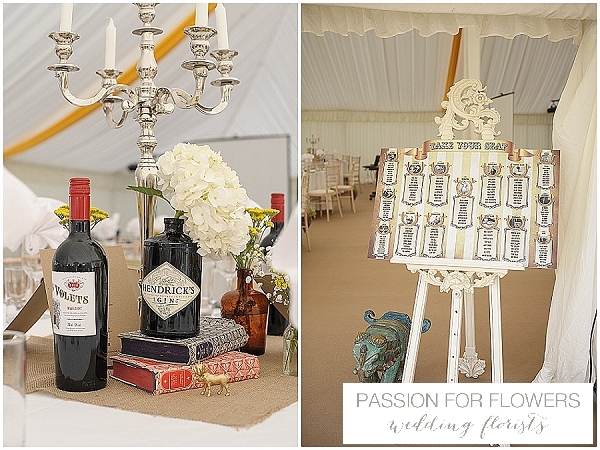 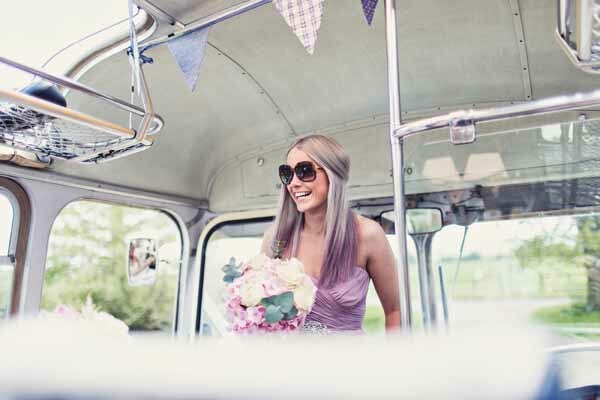 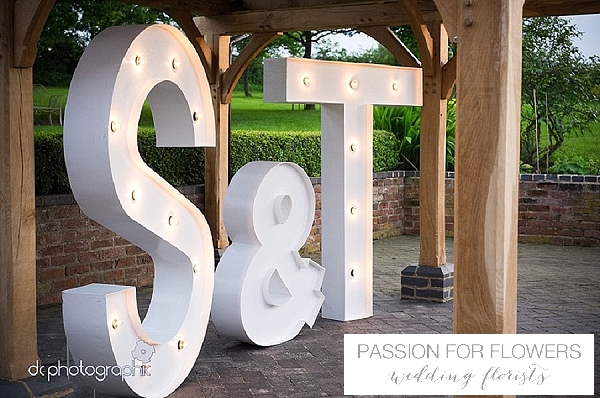 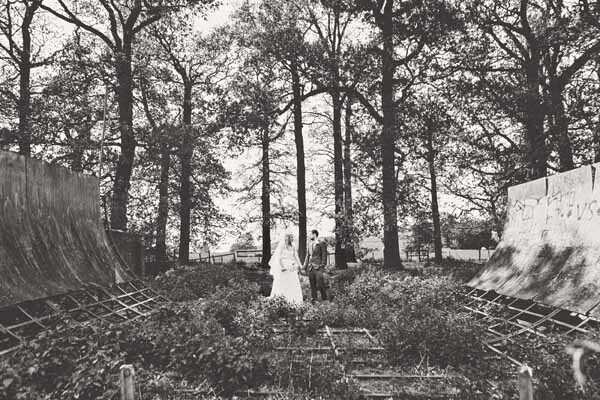 The rustic wooden crates from church added colour and life into the marquee. 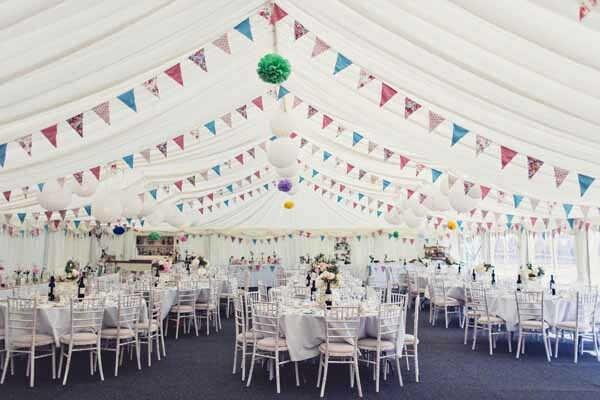 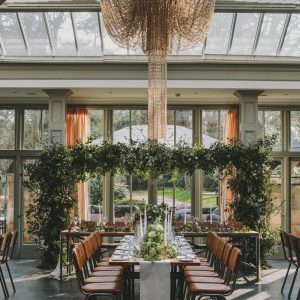 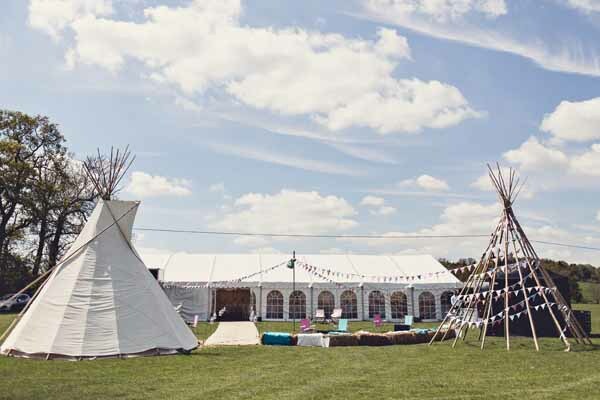 Mark and Nicola wanted to ensure the marquee was not bland and so we all worked together to create a warm inviting look and feel in the marquee. 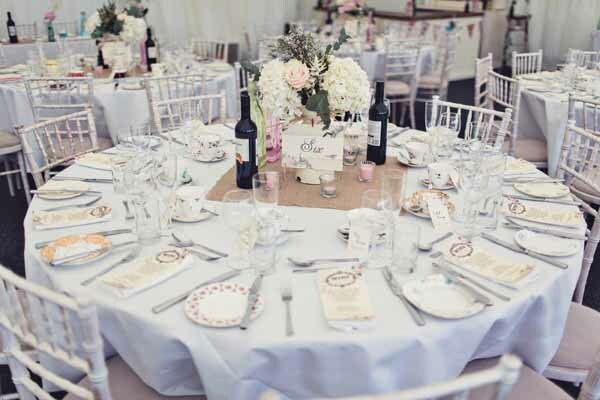 Hessian chair backs with bunches of hand picked flowers decorated the chairs, the lovely table names added even more colour as well as the hand crafted cutlery wraps and favour jars. 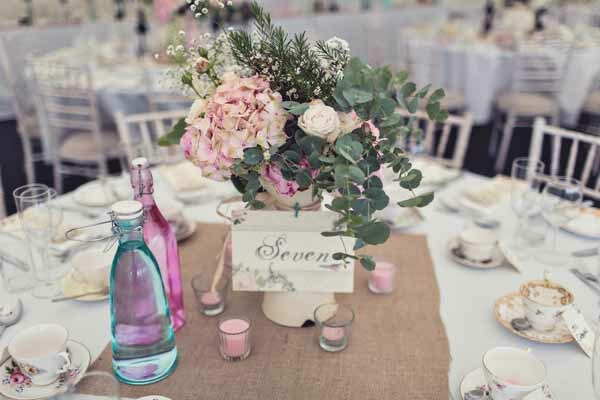 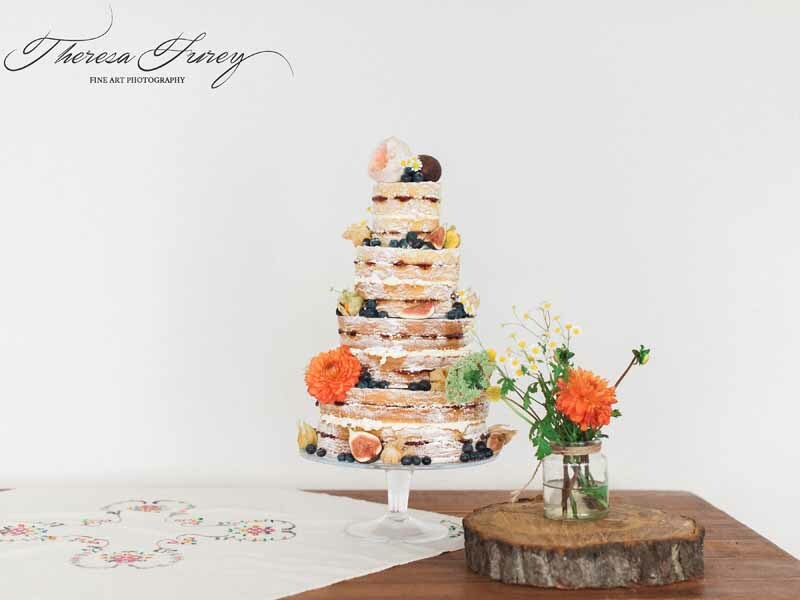 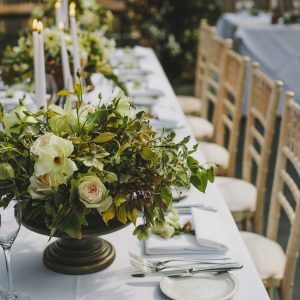 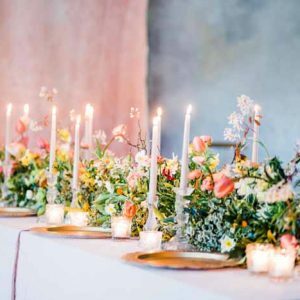 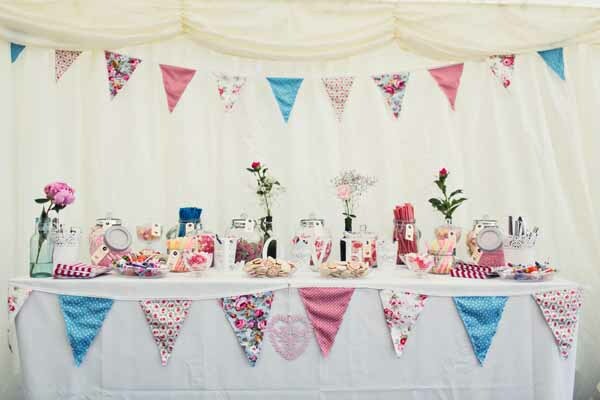 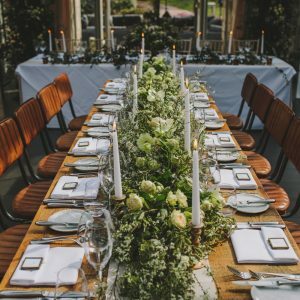 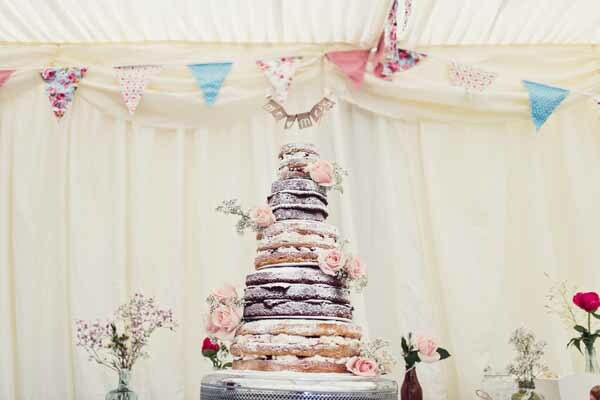 We decorated the tables with a mix of crystal glass vases in very shape and size, stacks of crystal plates festooned with flowers and mirror cake stands with small crystal jugs and vases, tea lights and hessian runners. 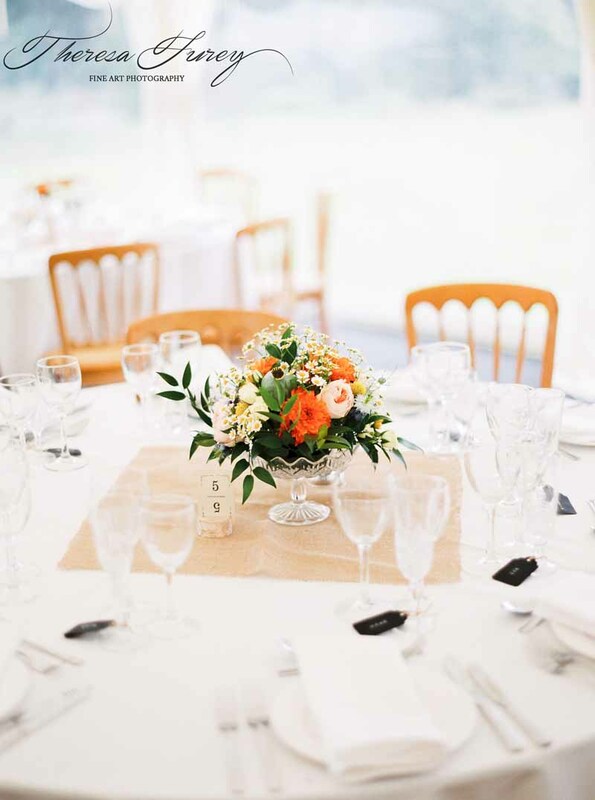 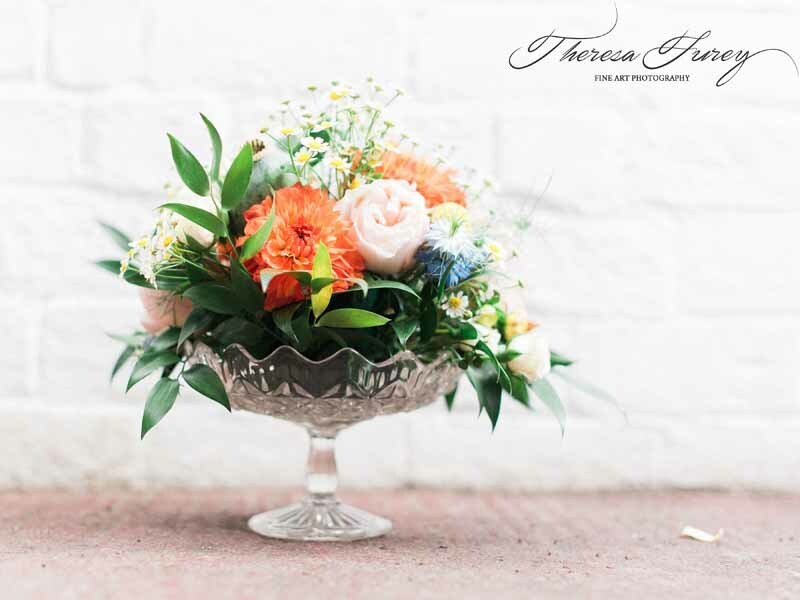 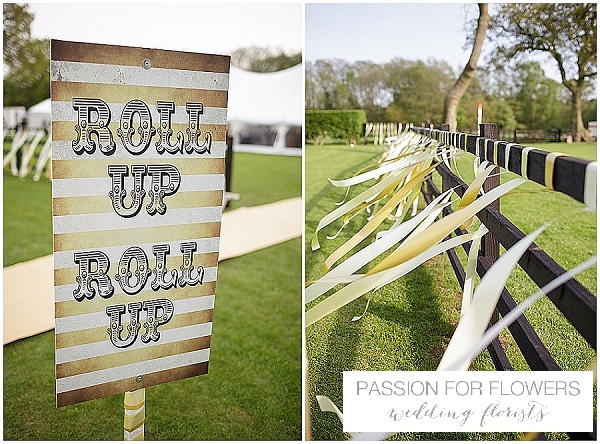 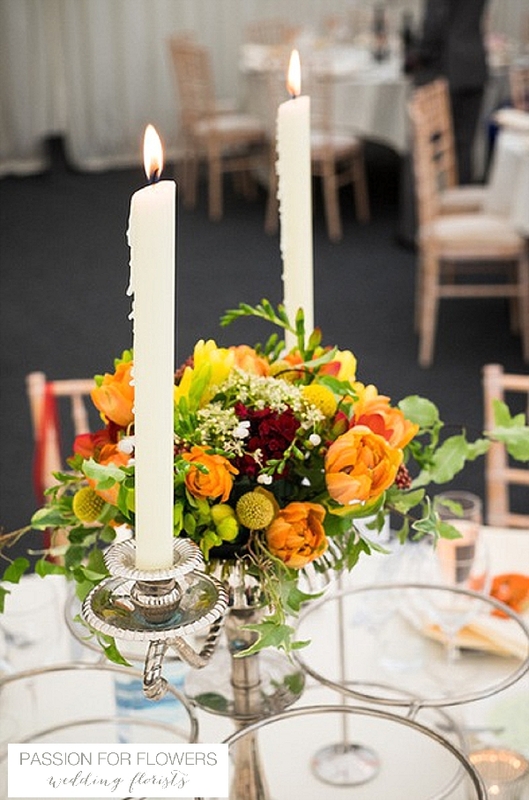 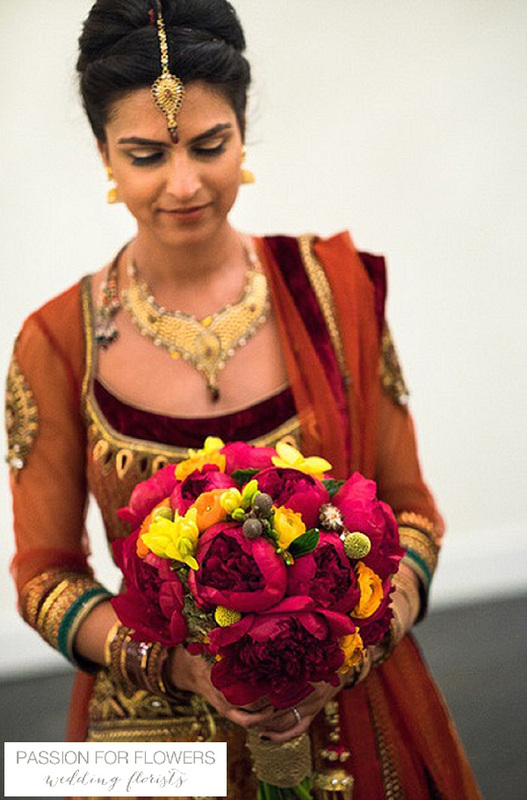 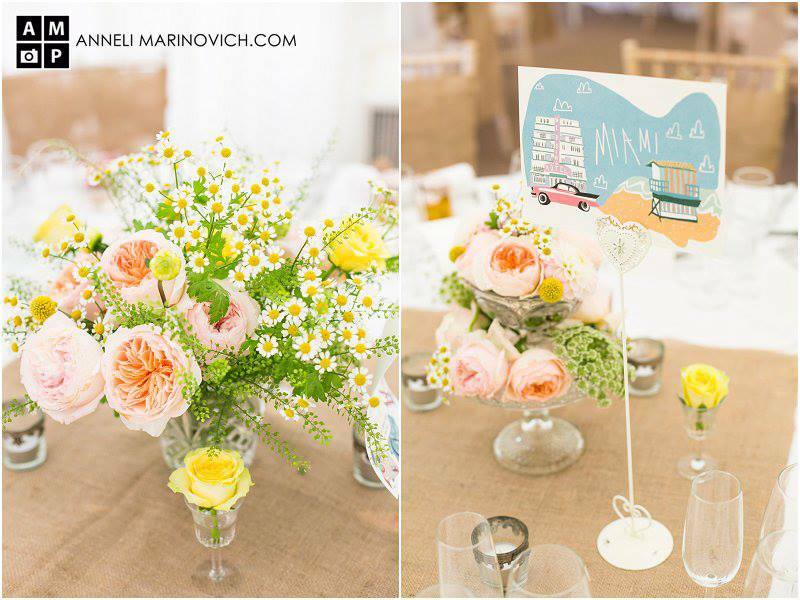 In the marquee we intensified the colours of the flowers by adding warmer yellow and more touches of peach. 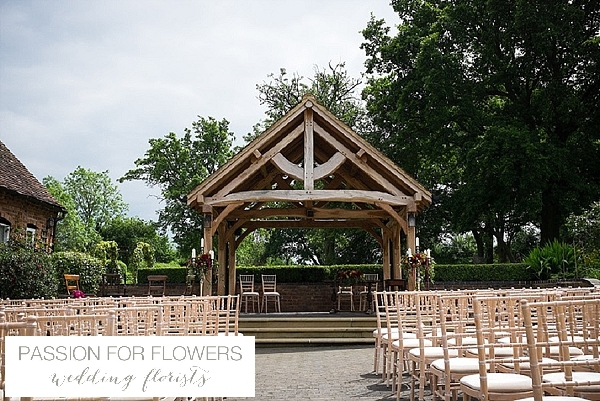 Pew ends were added around the marquee and on windowsills in the house. 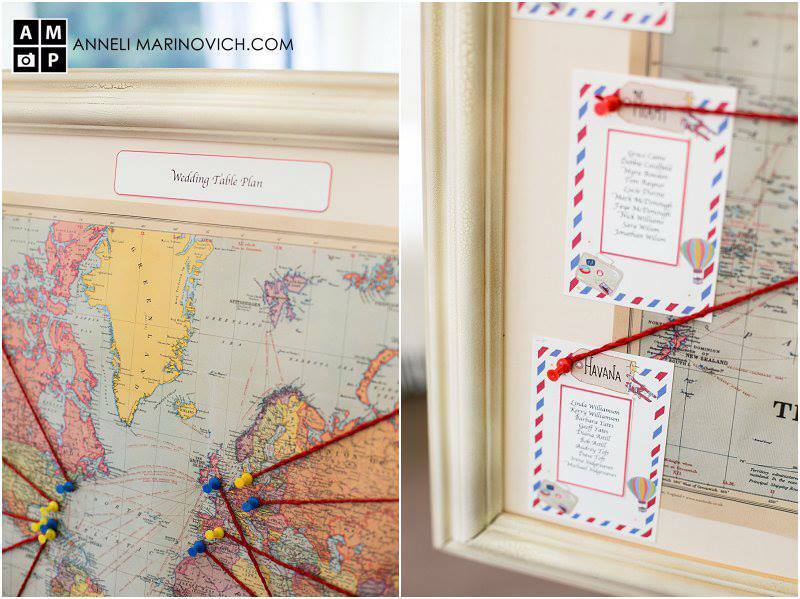 Nicola and Mark created a great table plan with one of our World Maps beautifully crafted with their stationery.